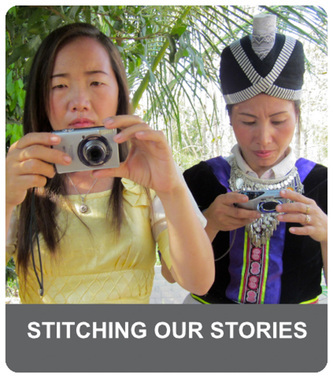 ​These women and girls are members of the Stitching Our Stories team and participated in the workshop series offered from 2012-2013. 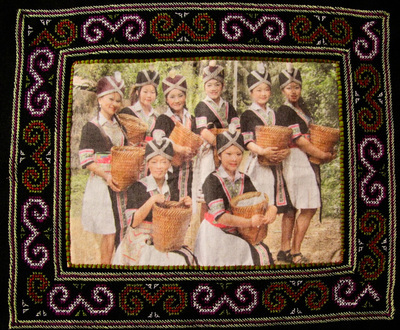 They come from the Hmong, Kmhmu, Phounoy, Tai Dam, Tai Lao, and Tai Lue ethnic groups, and are students, handicraft makers, and market sellers. 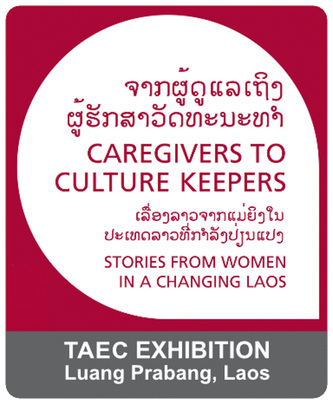 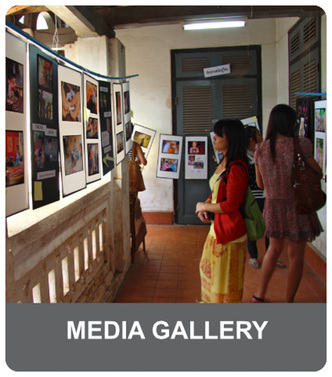 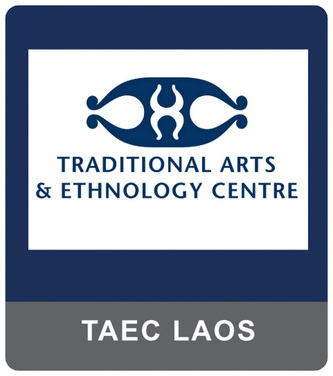 Together, they explored the lives and work of Lao women in documentary photographs and are the artists behind all of the photos that appear in the Culture Keepers exhibition. 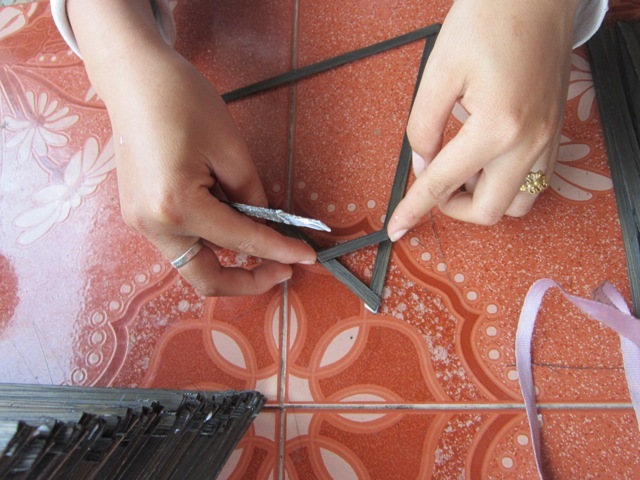 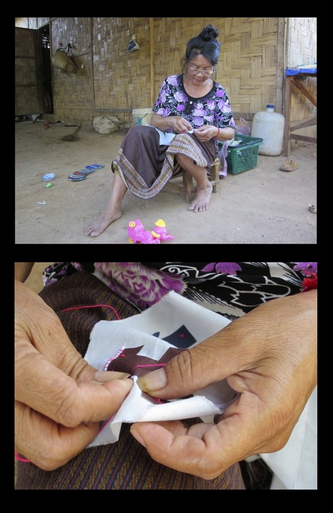 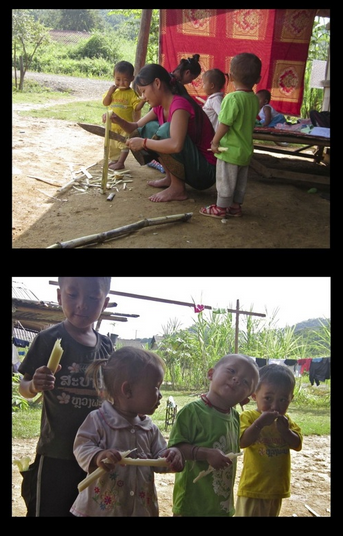 During the Stitching Our Stories programme, participants were introduced to the basics of digital photography and used these skills to reveal the lives of Lao women in pictures. They were asked to document the daily lives of women and girls in their communities by photographing them at work and at home. 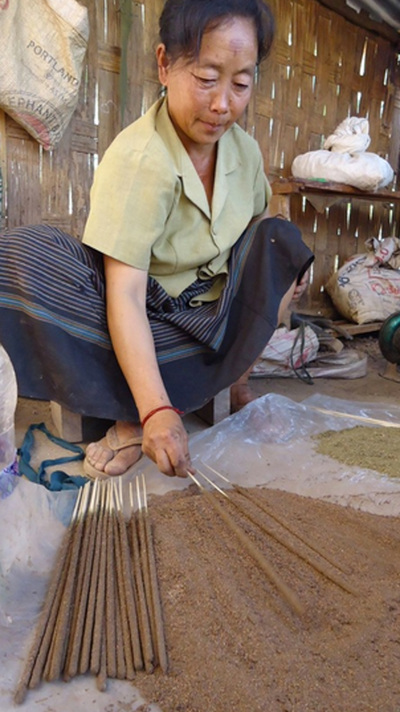 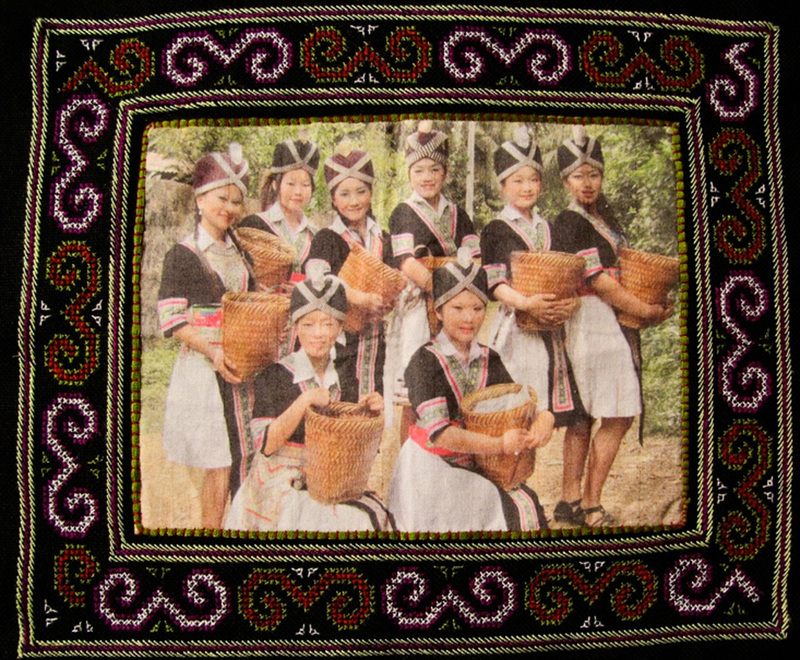 As illustrated by their photos, women and girls in Northern Laos play many roles (often all at one time) including, cooking, weaving, construction work, farming, teaching, studying, taking care of children, cleaning, dancing, selling at the market, making incense, and of course, embroidery. 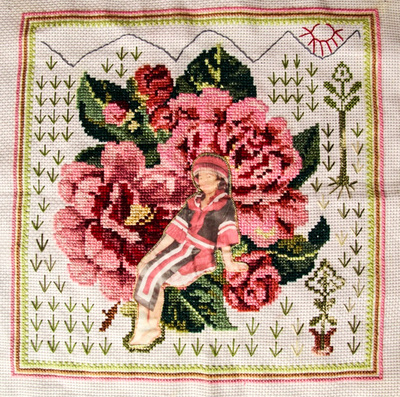 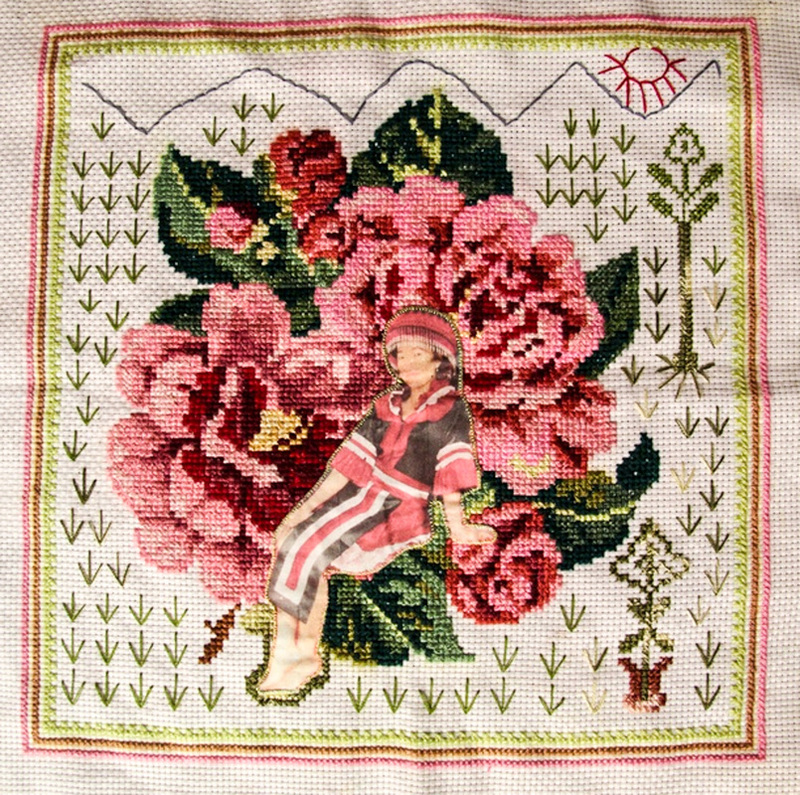 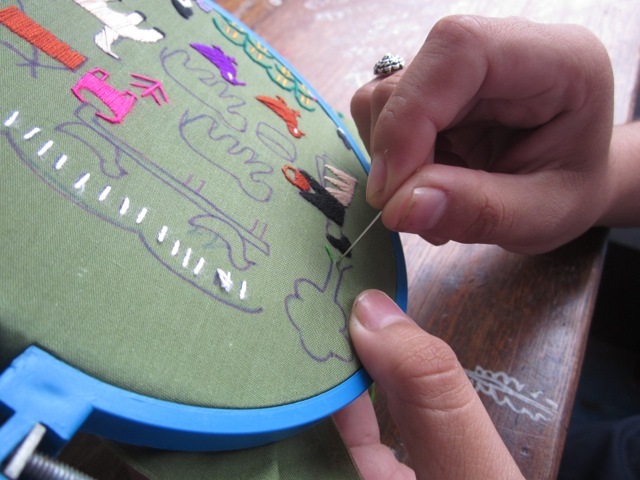 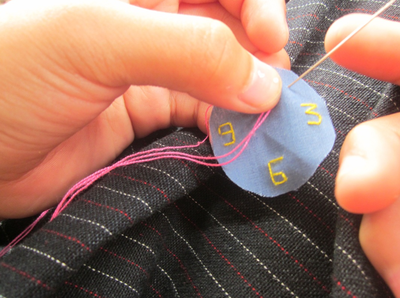 "I love taking pictures and love embroidery and this class taught me more about both. 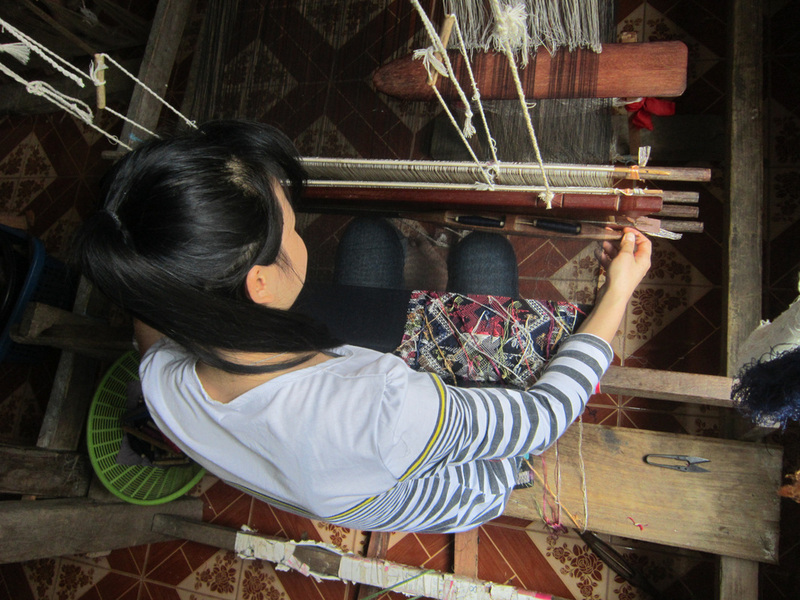 I hope that when people see my photographs they will learn more about Hmong embroidery and how it is made." Vilyaphone is the sister of Community Researchers Chitthaphone and Vonvilath and is one of the youngest participants in the Stitching Our Stories program. 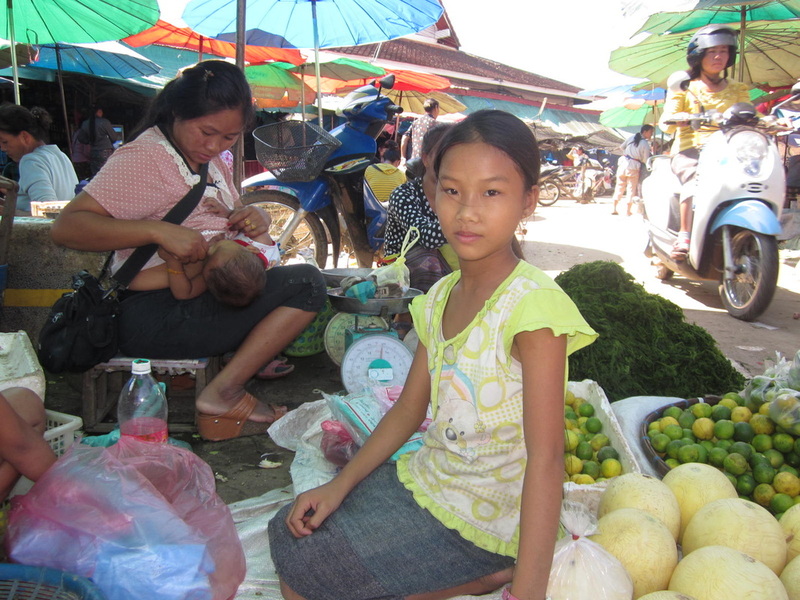 In addition to going to school, she helps to make traditional saa paper with her mom and siblings. 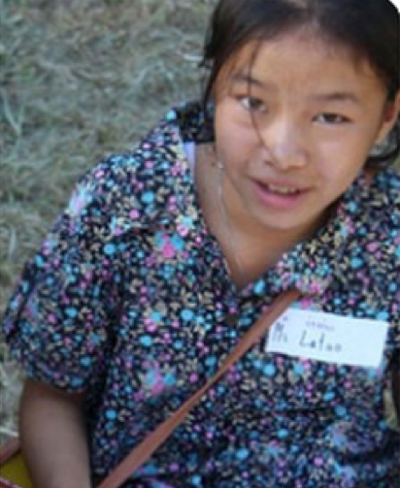 Yac Her and La Tao are cousins and came to the program together, and they worked together to document life and work in a large Hmong family. 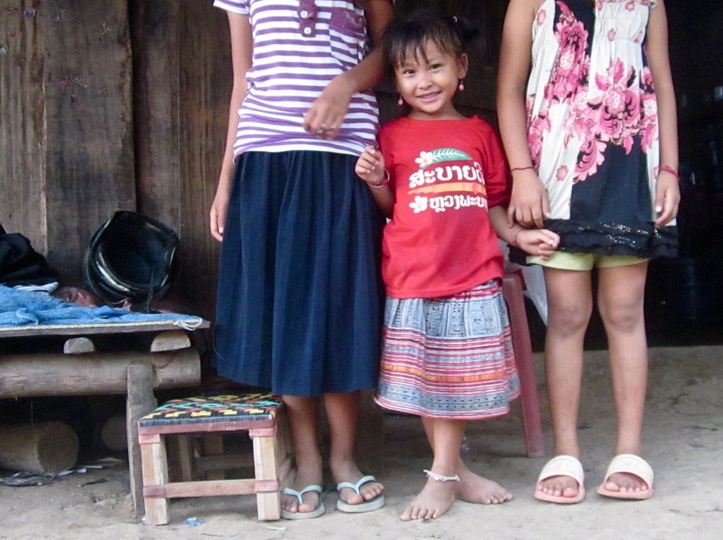 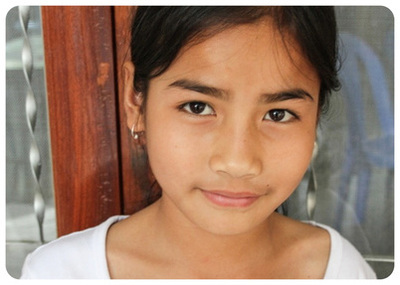 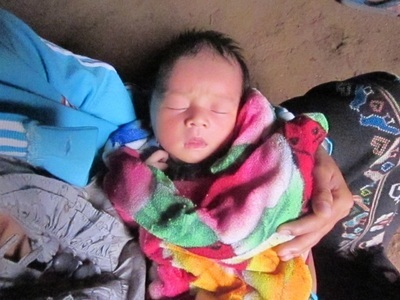 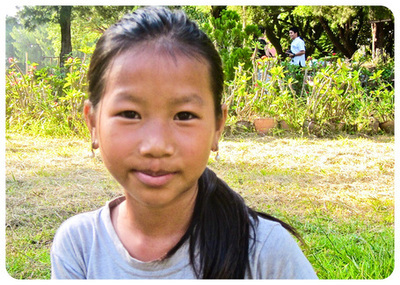 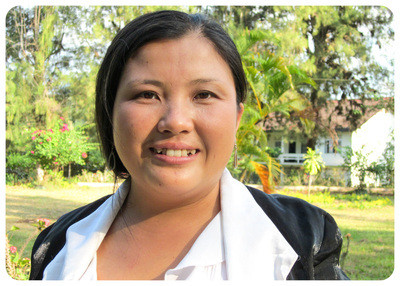 La Tao is a student and Ya Her is one of eleven children and is also a young mother. "We were able to learn things about our family and our community that we didn’t know before. Through photography and film, we learned more about our village and through our work we hope to raise women to be equal to men." 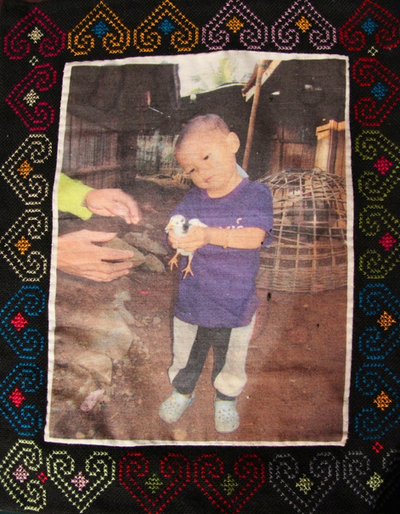 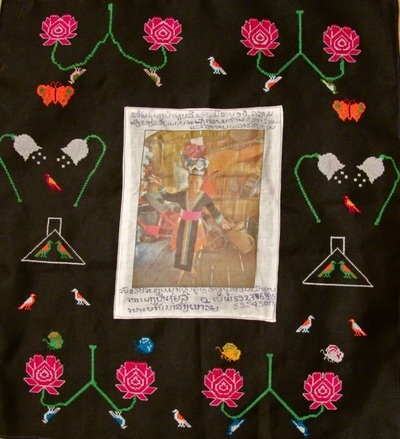 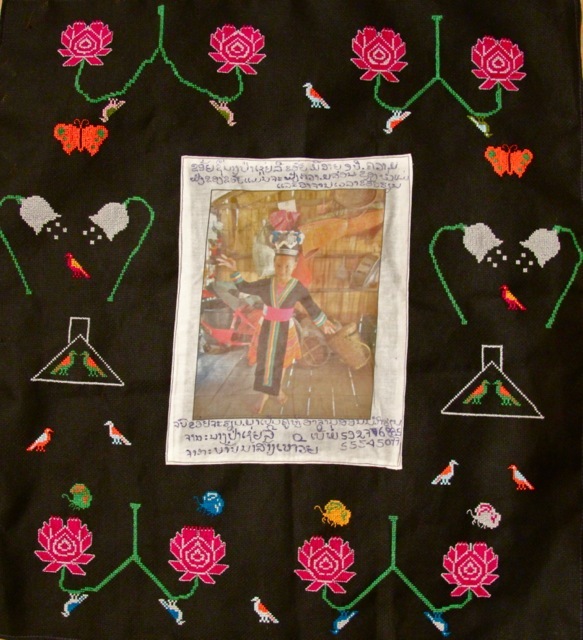 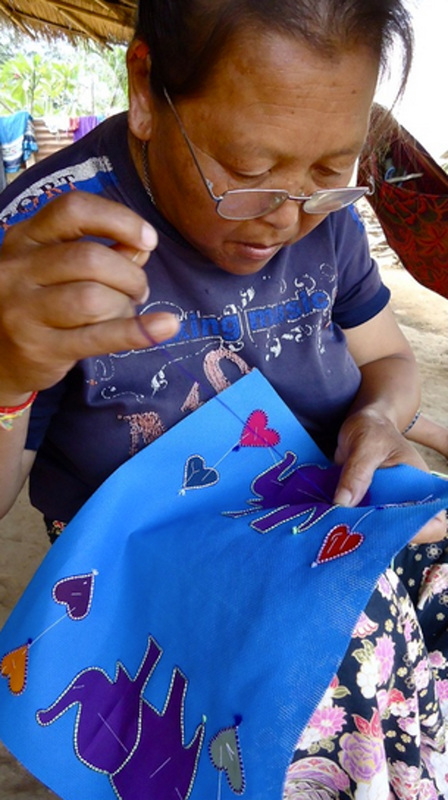 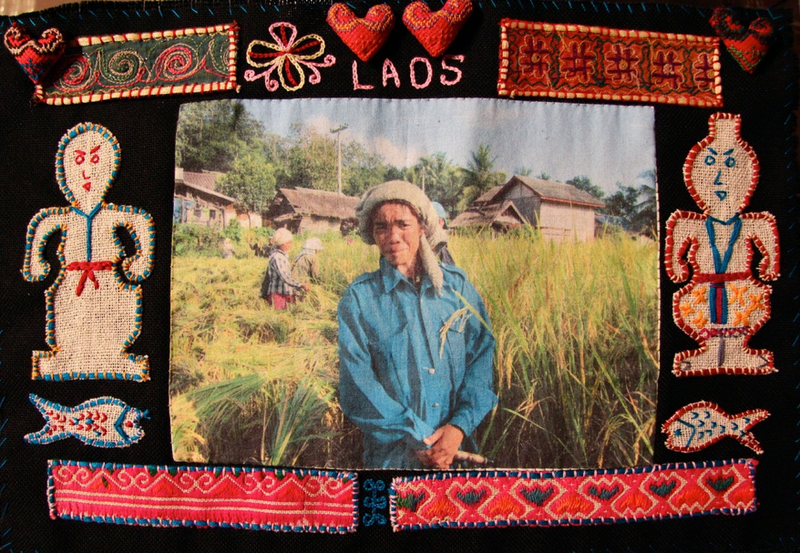 "My embroidery is from traditional Hmong ceremonies to give health and protection - the man is on the left and the woman is on the right-- and the picture in the center is of my friend who farms rice in my village. " 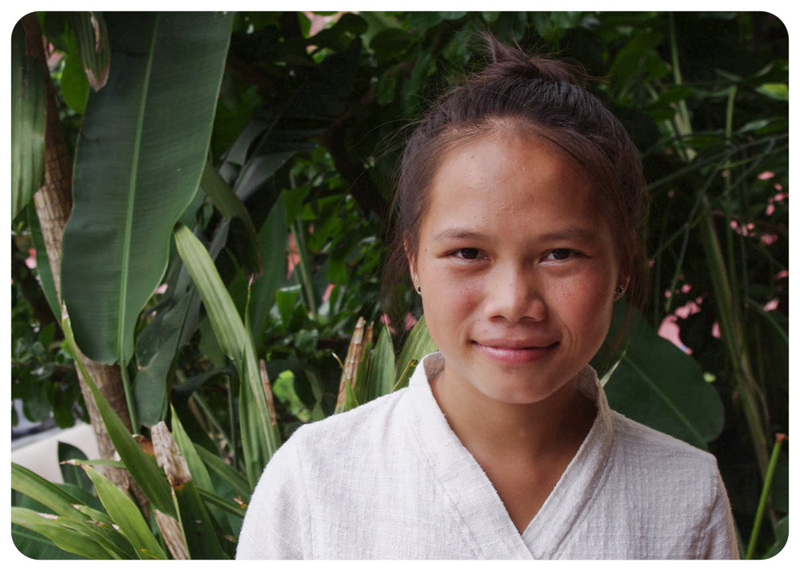 "I came to the class because I wanted to learn about photography, but I also learned more about Lao women than I knew before. 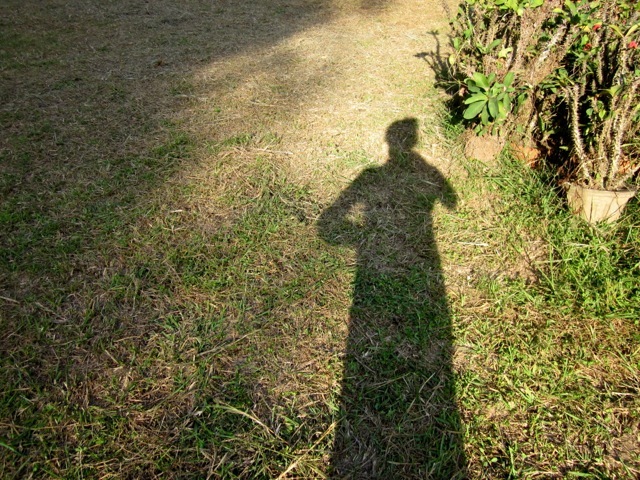 I learned some things about the past and some things that are new." "I want to document our culture and pass on our traditions to my children and grandchildren. 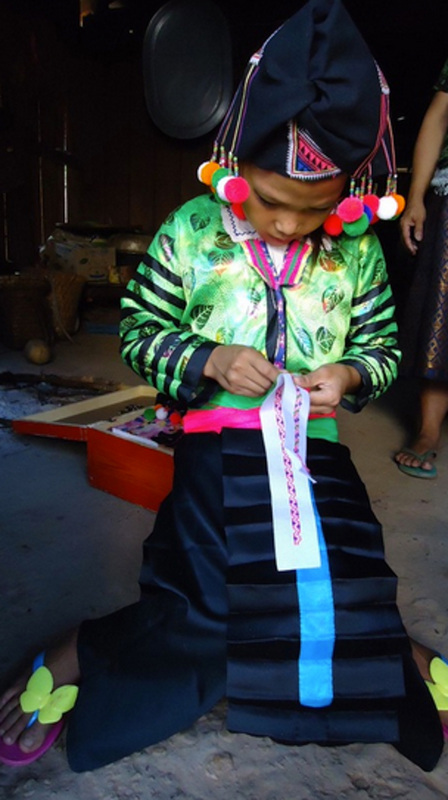 Our traditional handicrafts, clothing and ceremonies are important to our cultural identity. 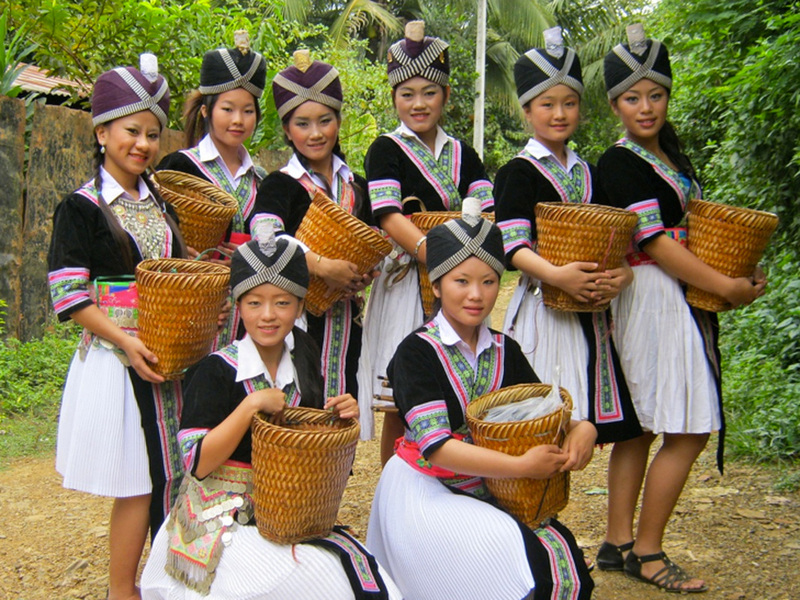 If we want Hmong culture to continue in the future we need to study our past and learn from our elders." 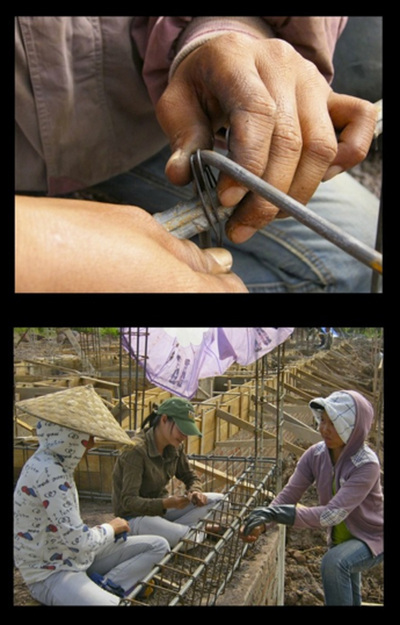 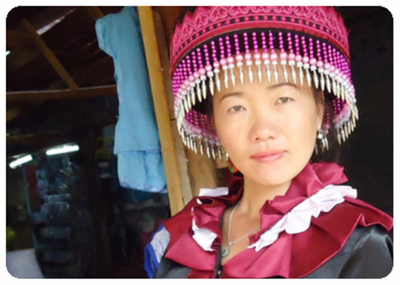 Vilyaphone and Phonethip collaborated on documenting the lives of women in Ban Phasouk with a focus on Buddhist traditions and the lives of working women. 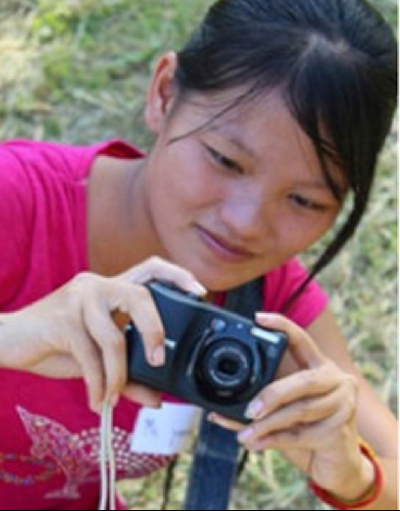 Vilyaphone: "In this class I learned about editing photos on the computer, photography techniques and different kinds of composition. 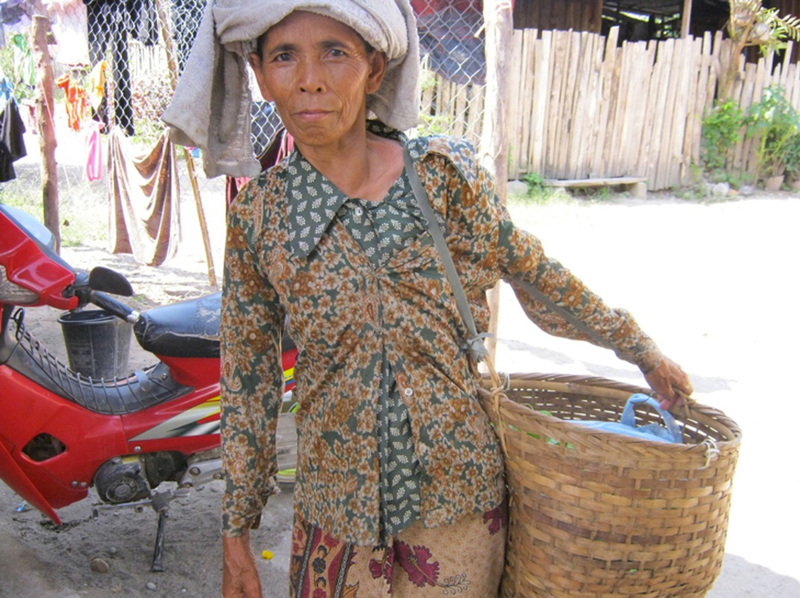 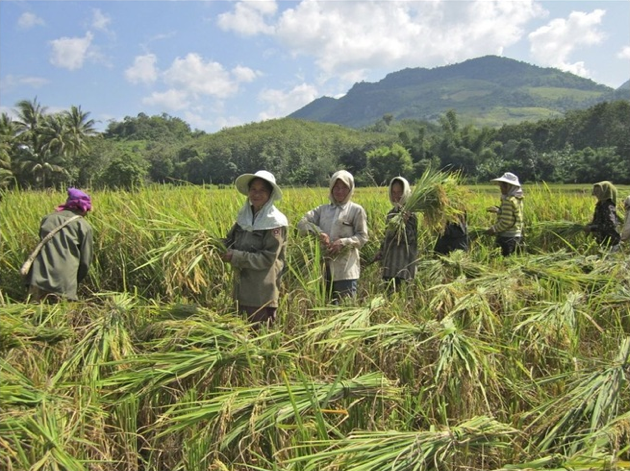 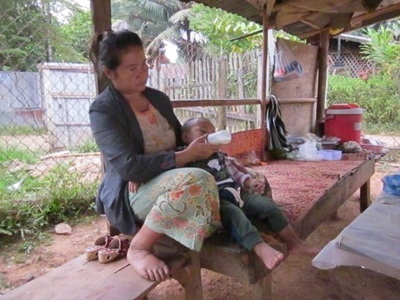 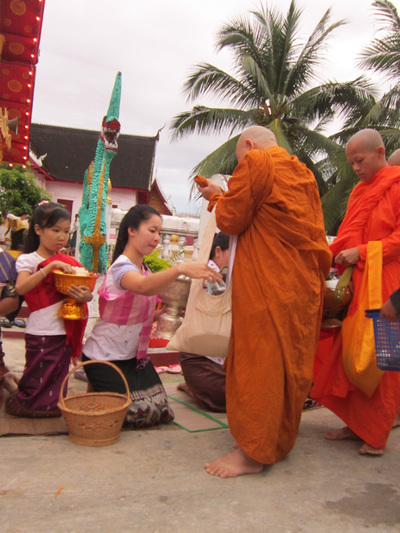 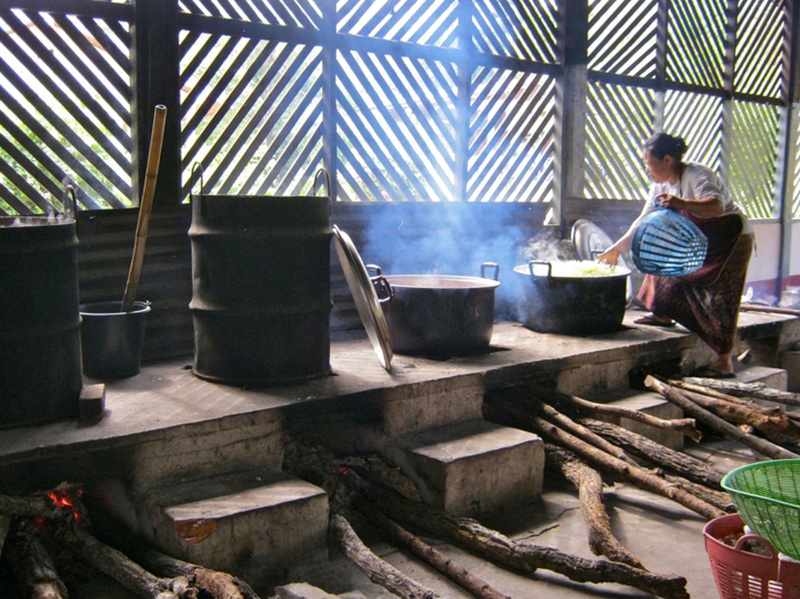 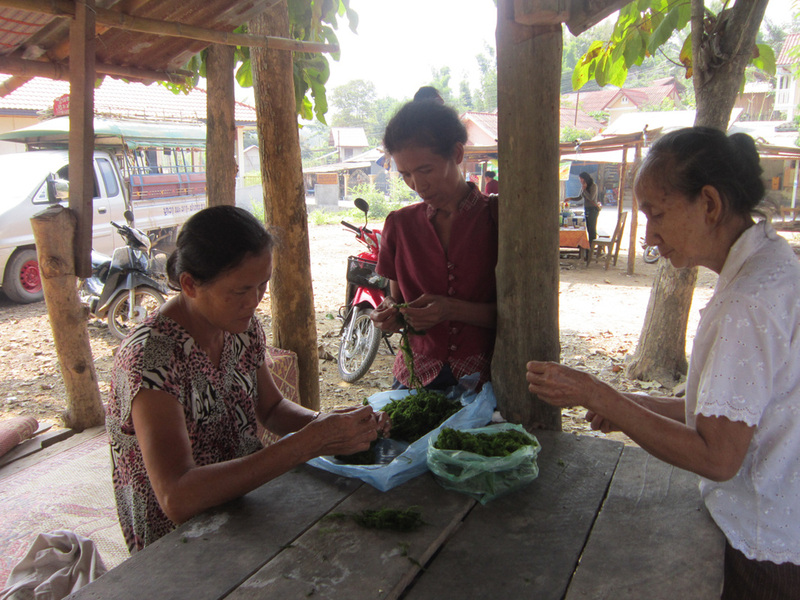 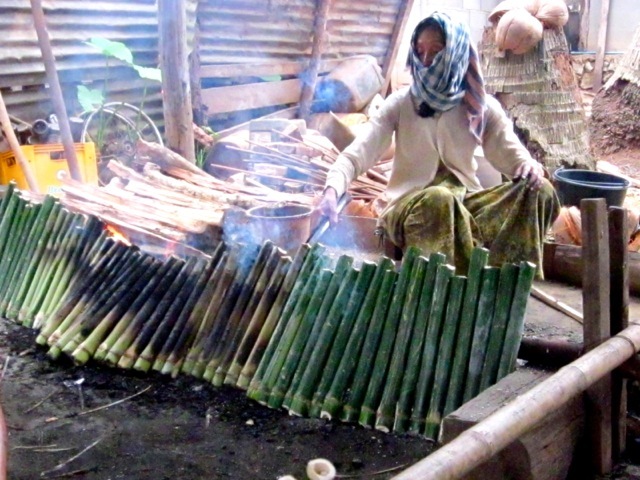 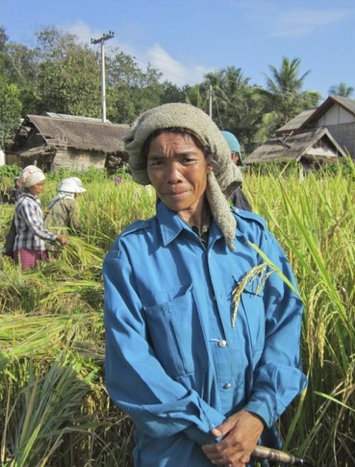 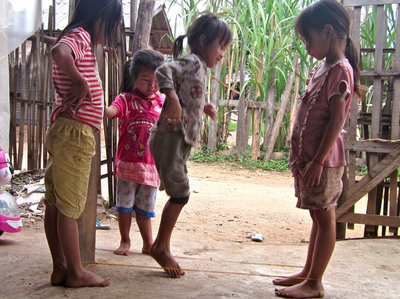 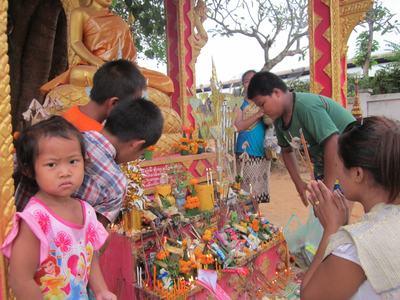 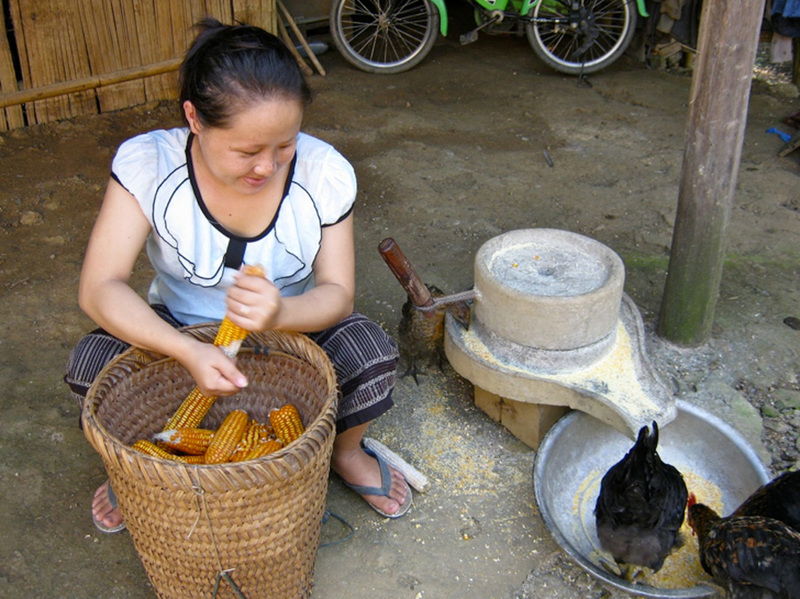 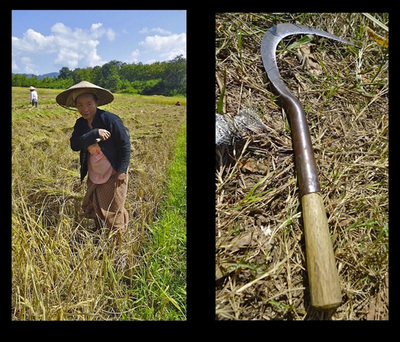 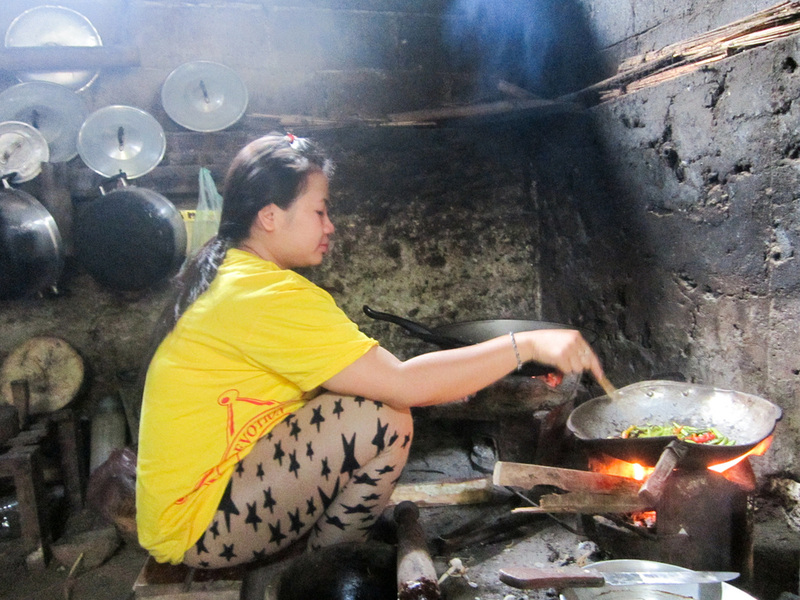 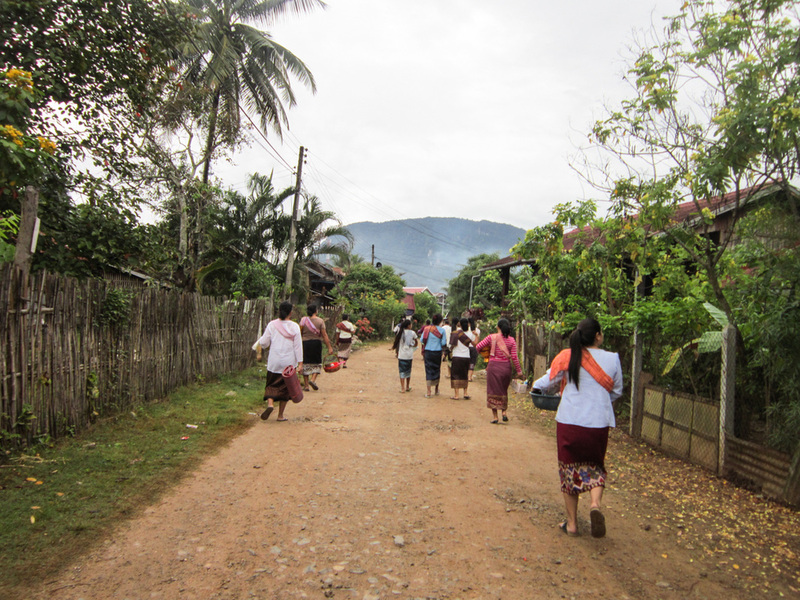 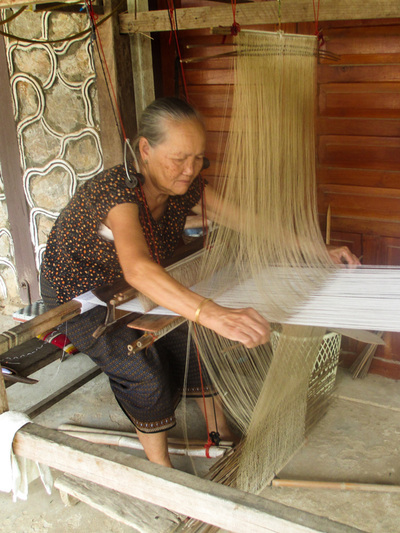 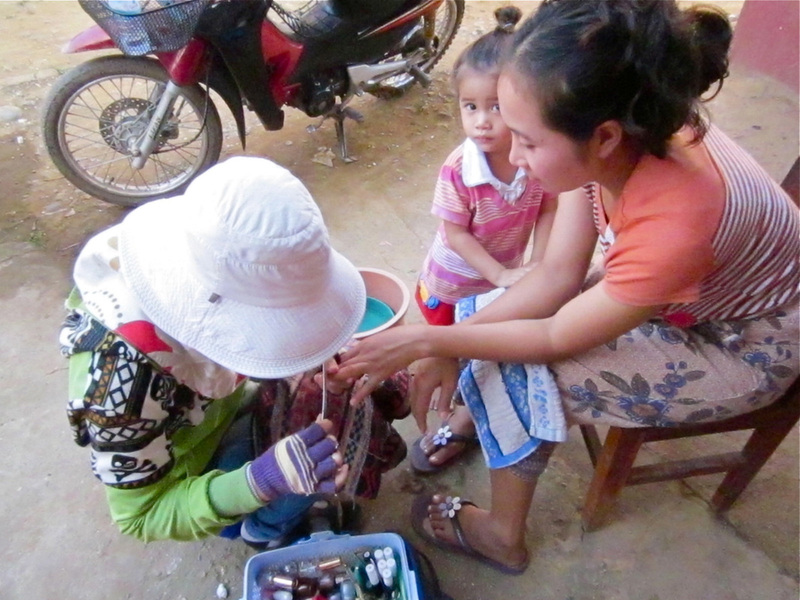 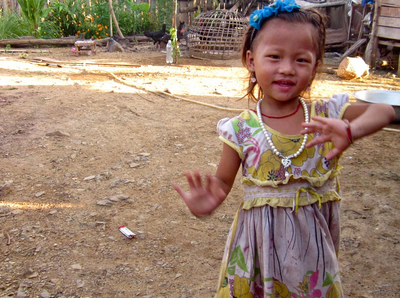 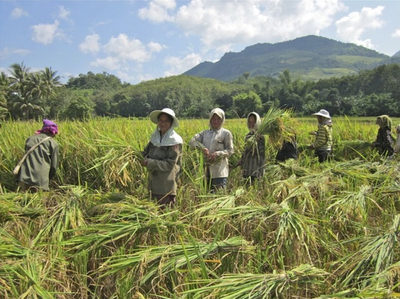 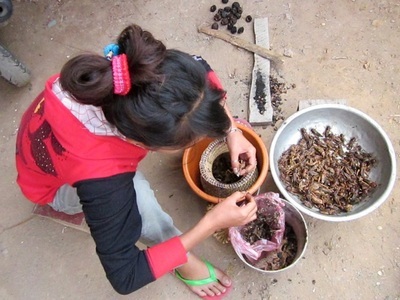 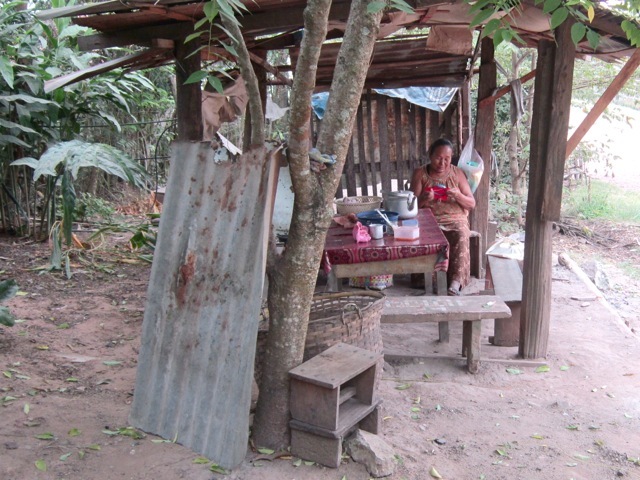 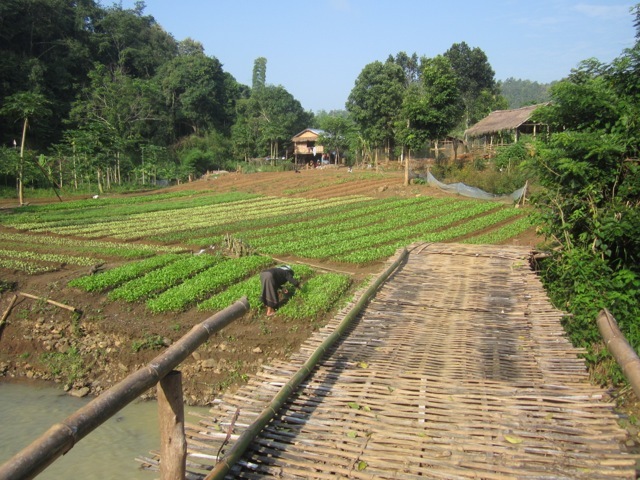 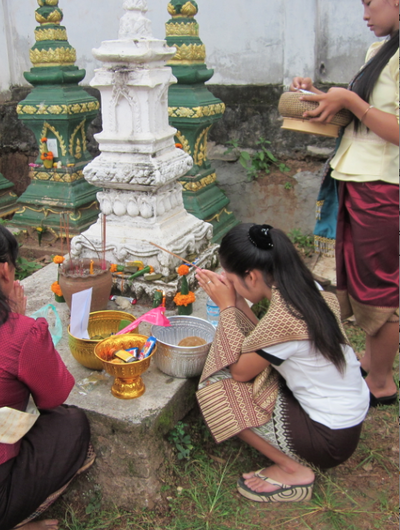 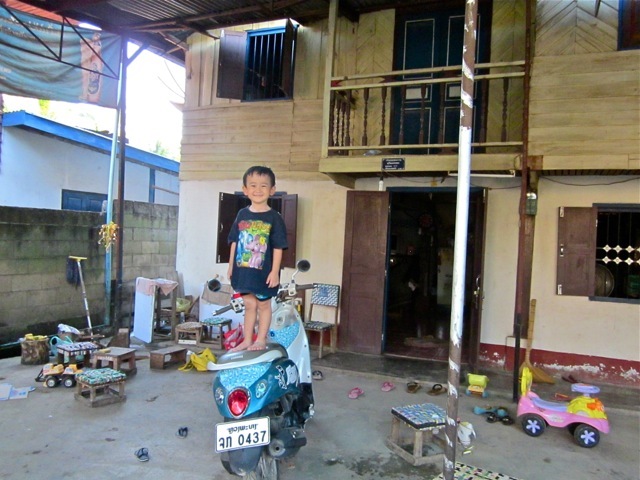 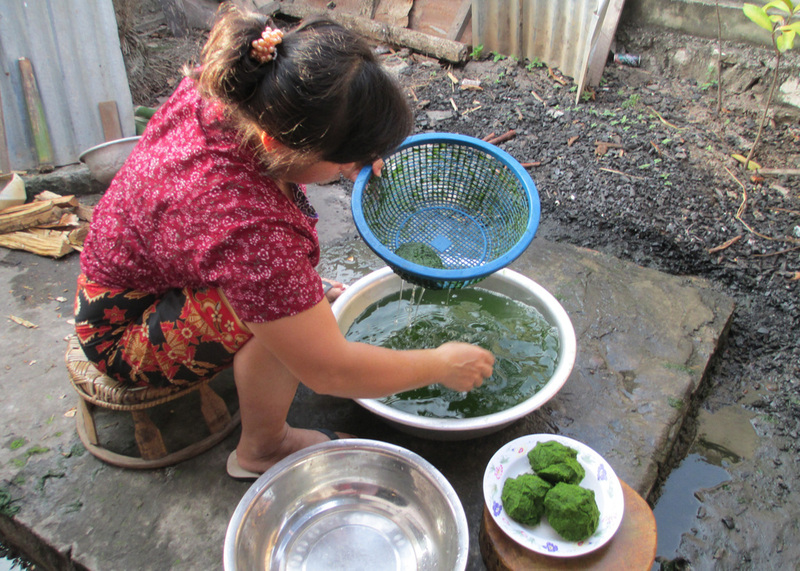 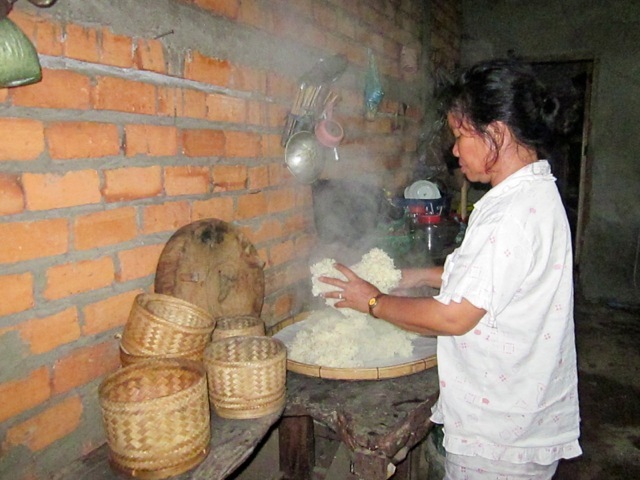 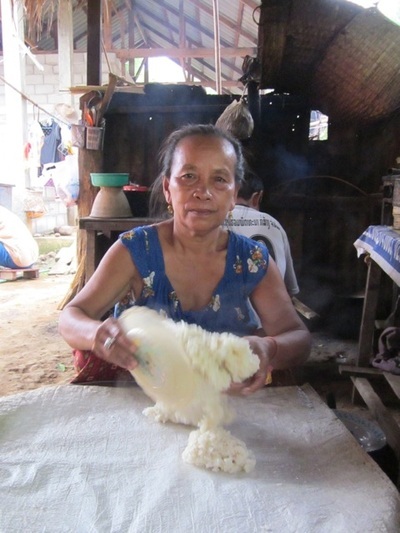 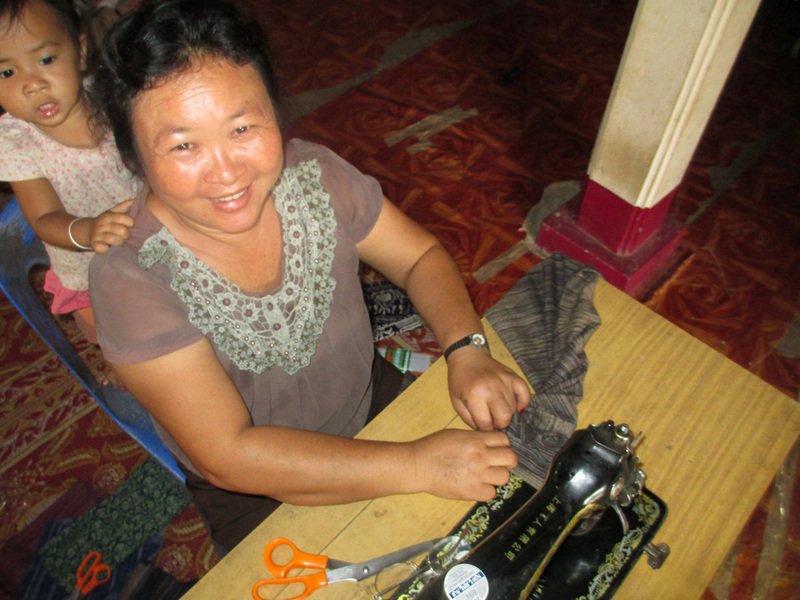 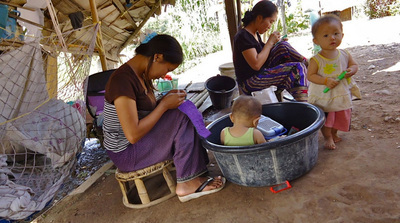 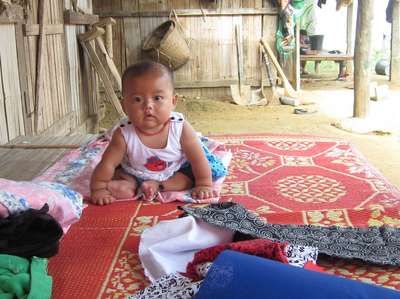 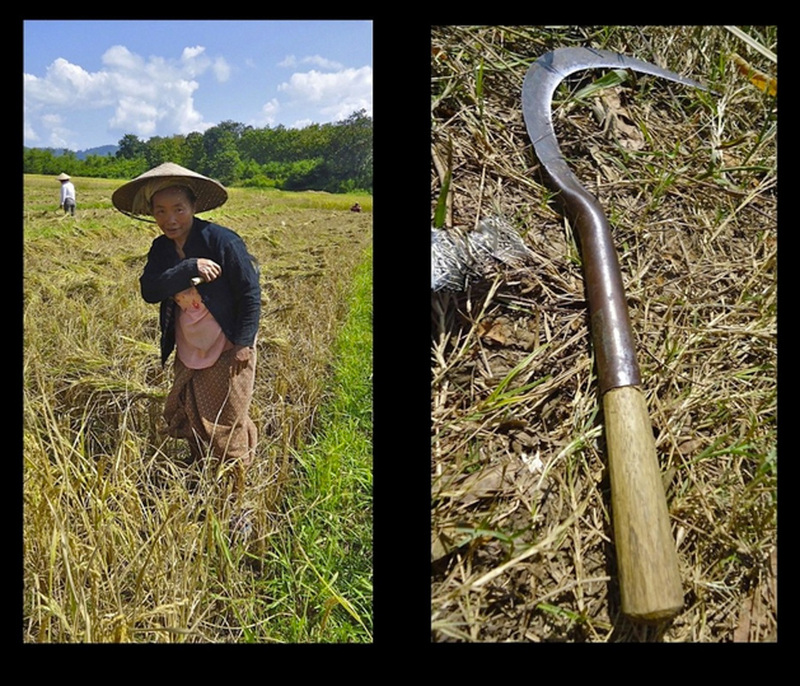 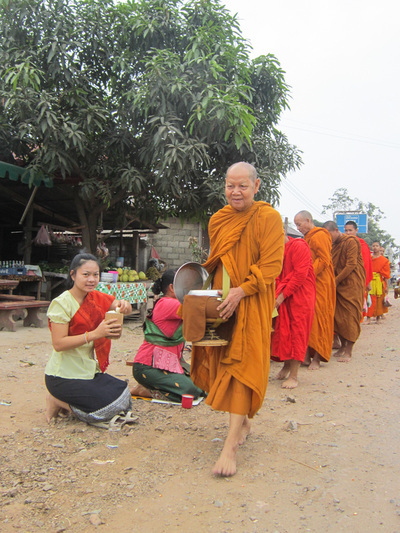 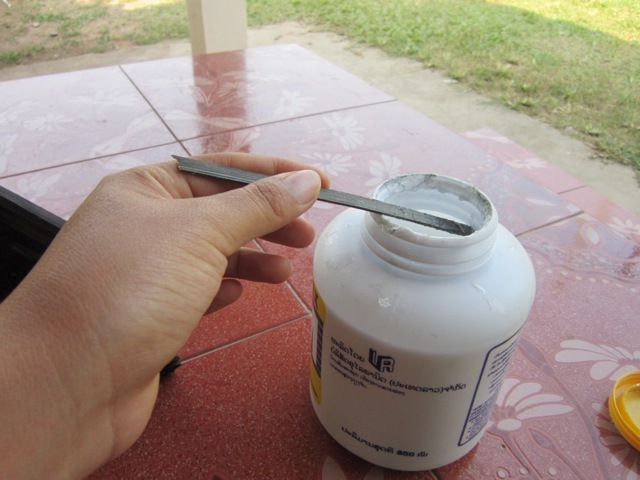 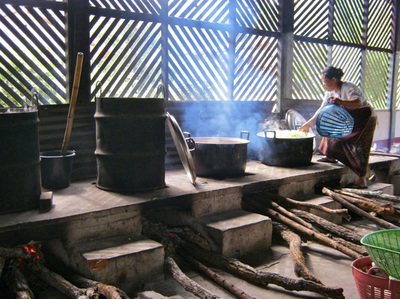 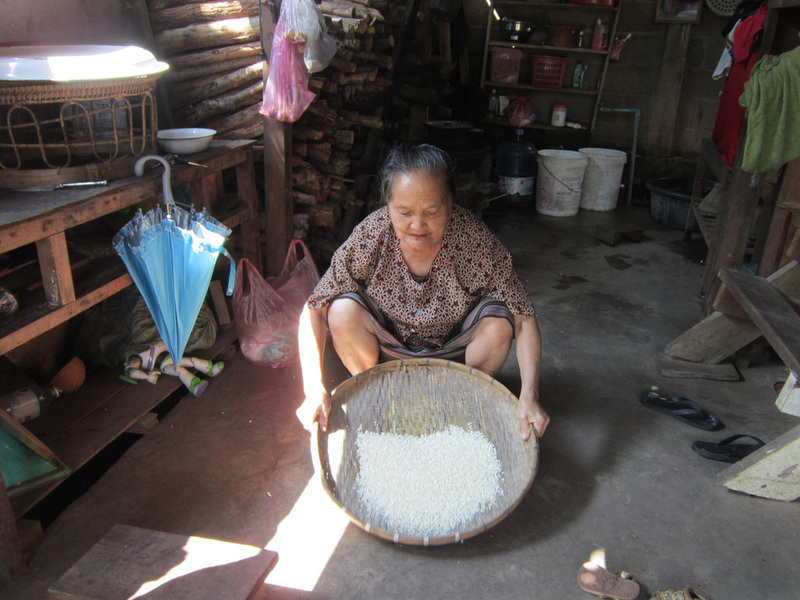 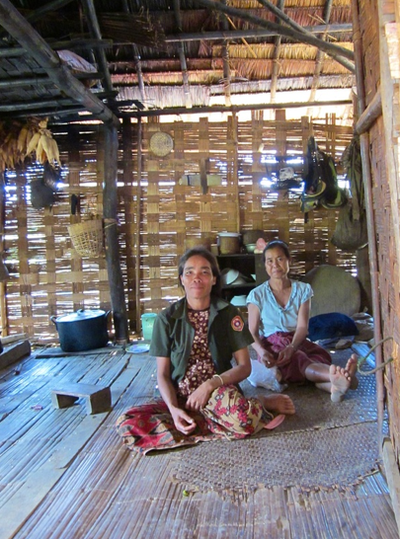 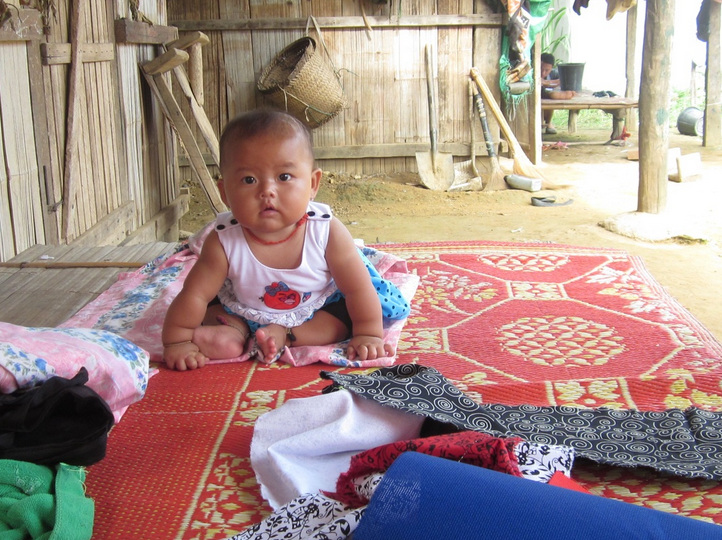 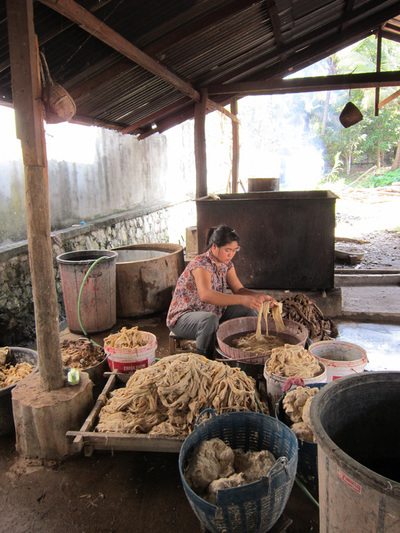 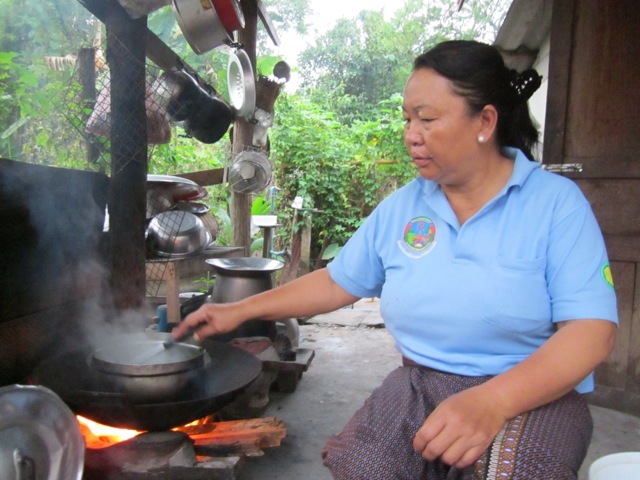 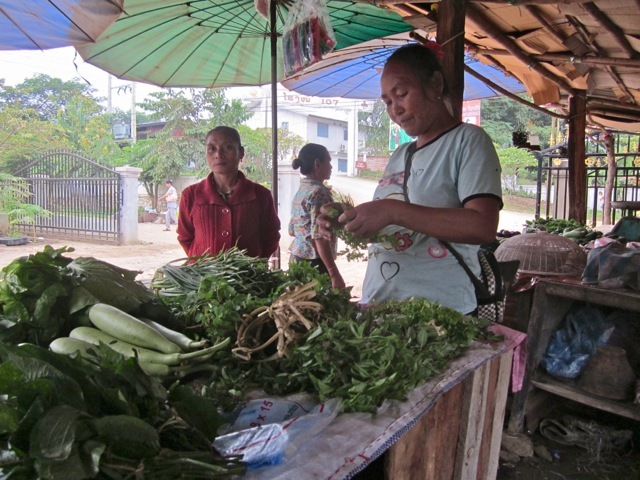 But I especially enjoyed learning more about Lao women's lives." 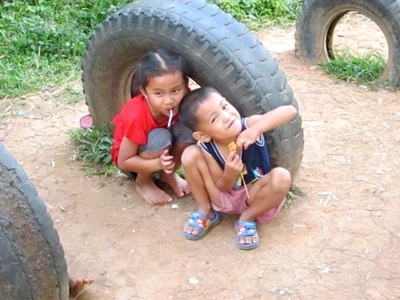 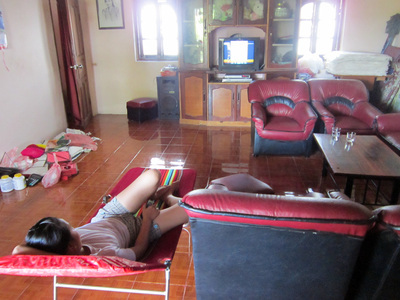 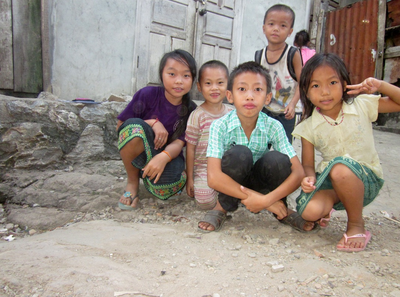 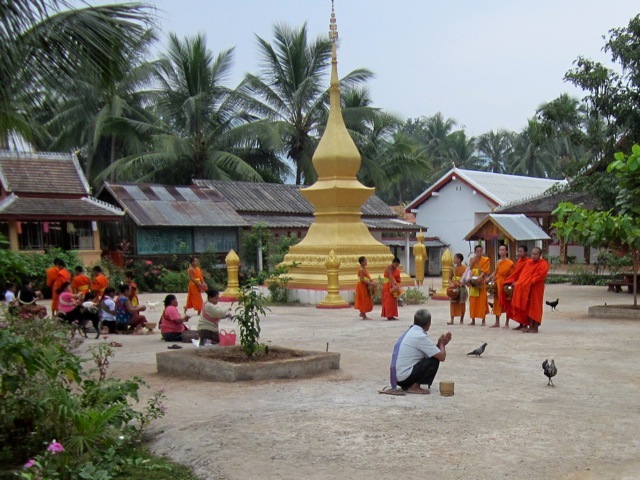 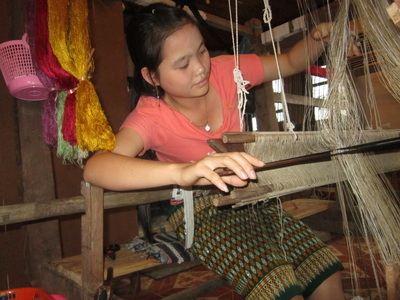 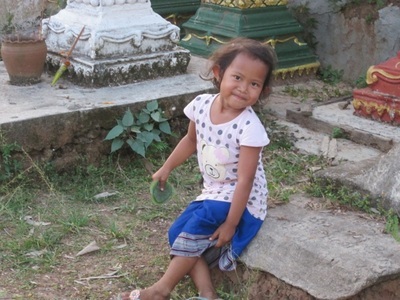 Khammoun was born in Phongsaly and moved to Luang Prabang in 2005. She graduated from Santiphab Highschool and is planning to study finance at university. 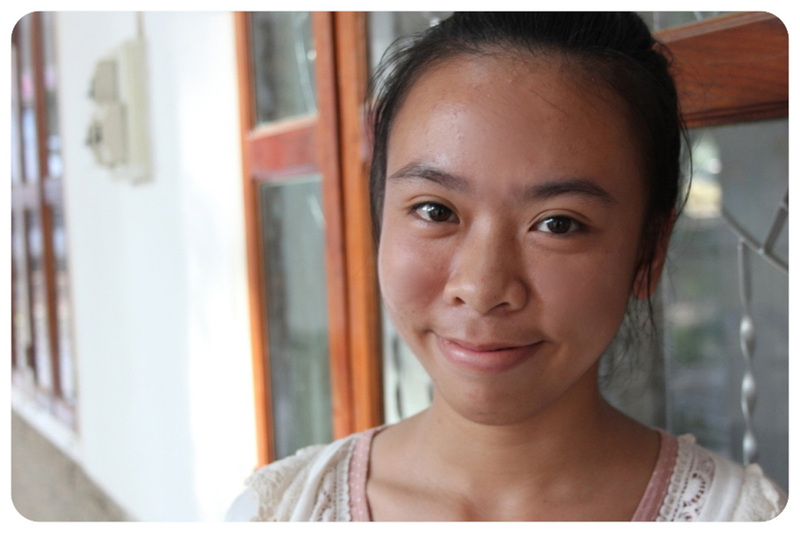 "I came to the photography program to learn a new skill and to see how other people do embroidery different from me. 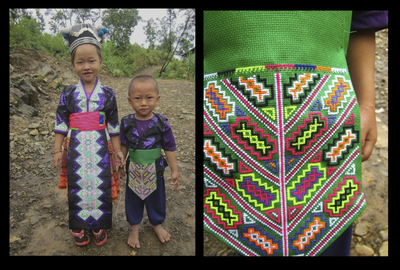 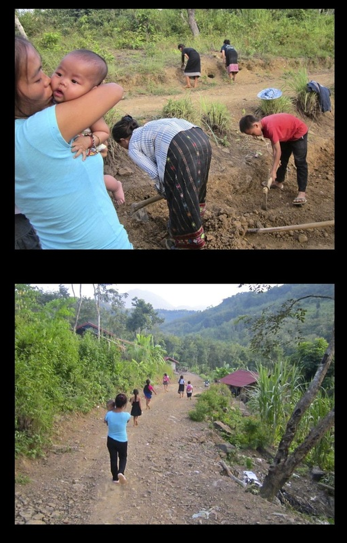 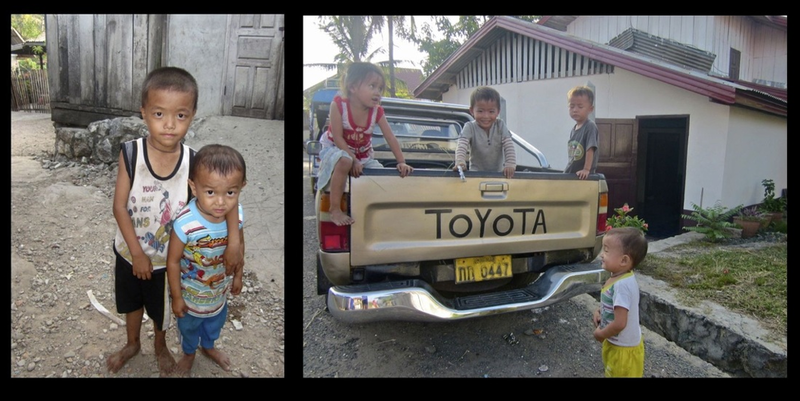 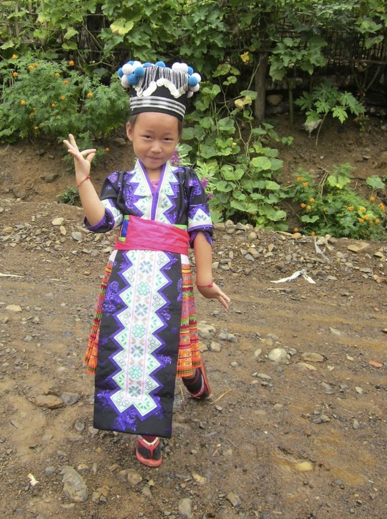 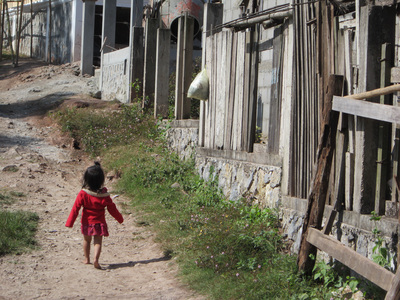 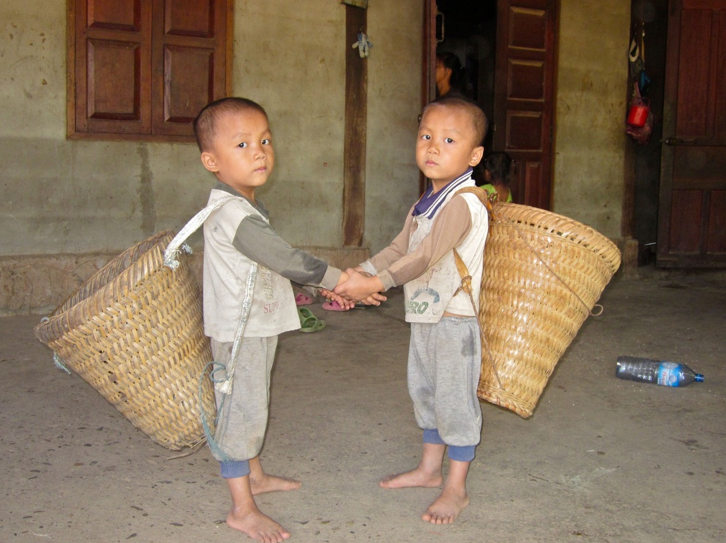 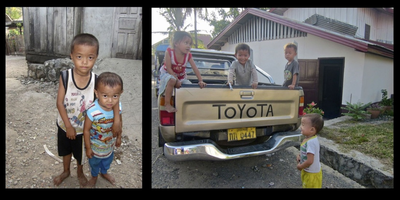 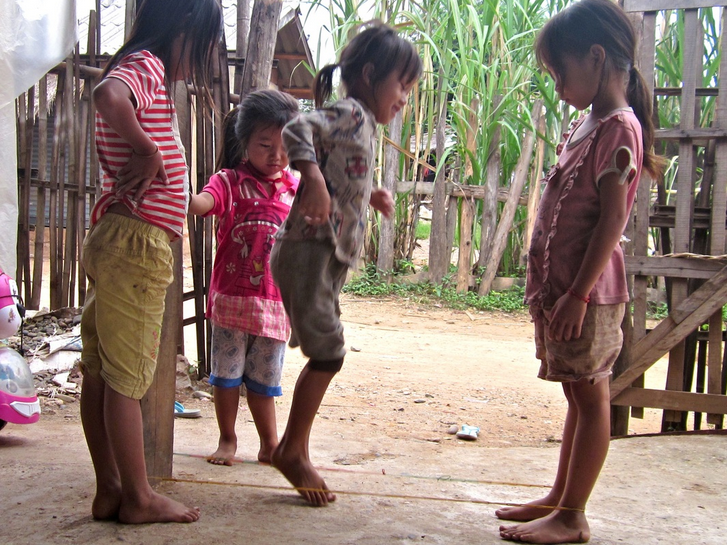 I hope when people see my photos they will learn more about Hmong life." 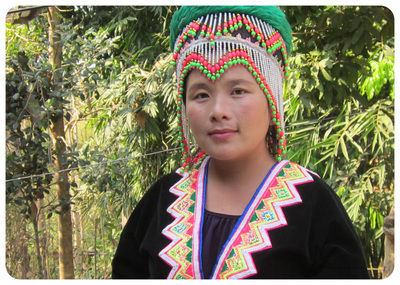 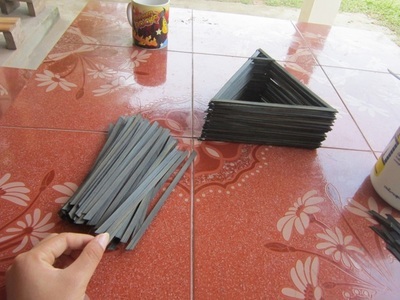 "I learned things I never knew about before, including things about my village and my culture. 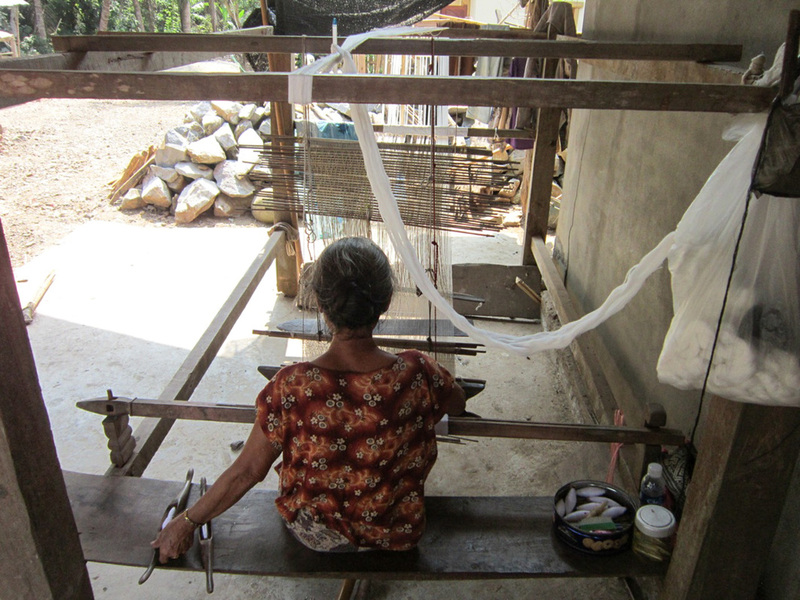 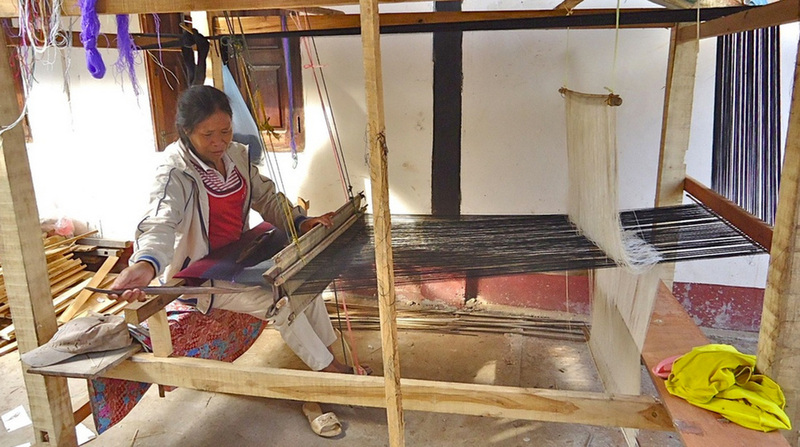 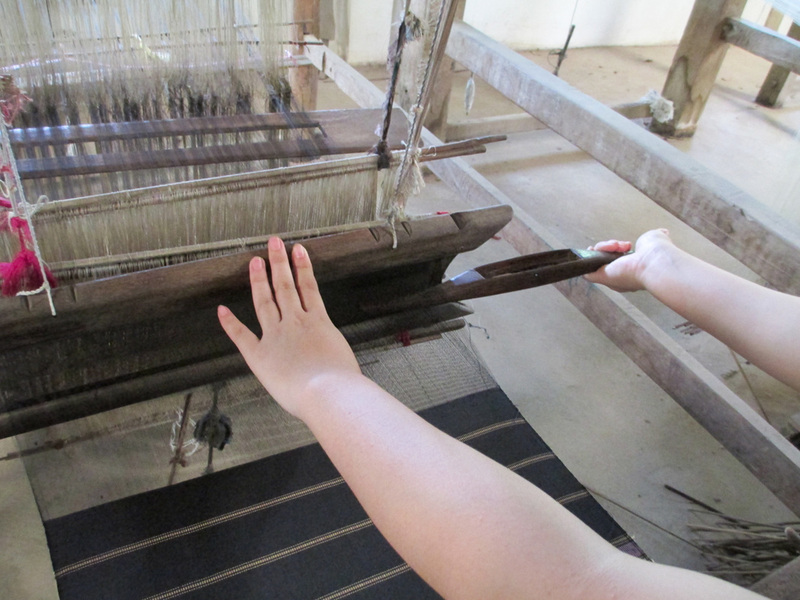 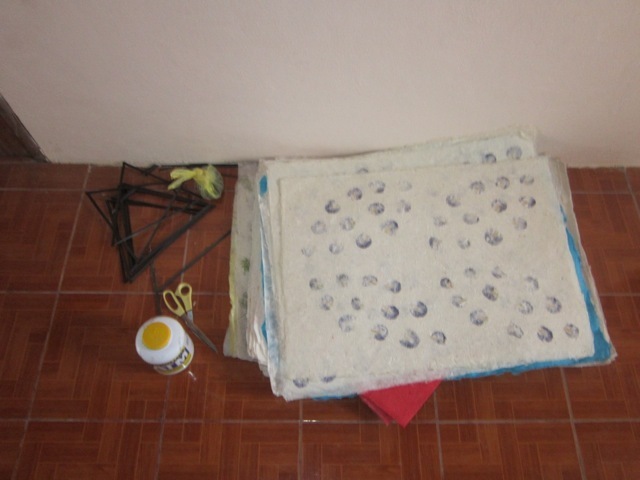 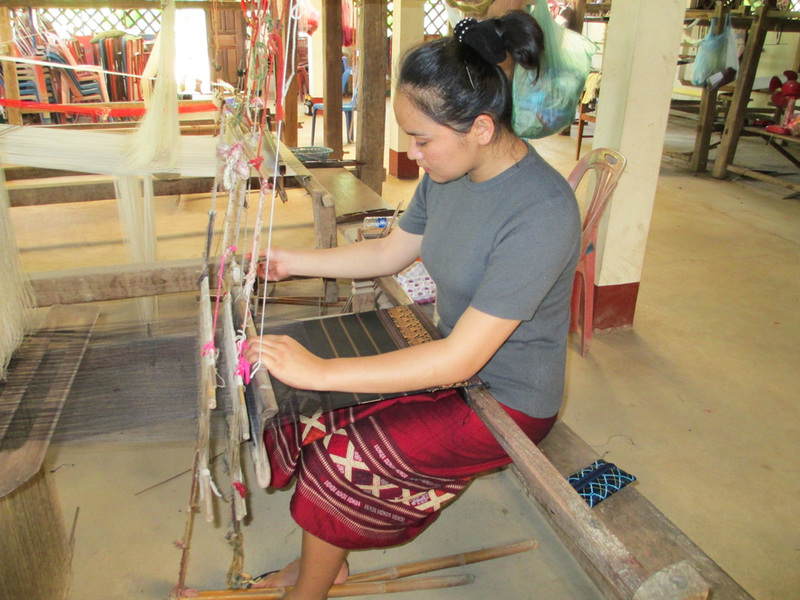 Through our research we learned many things about weaving and traditional techniques that we can share." 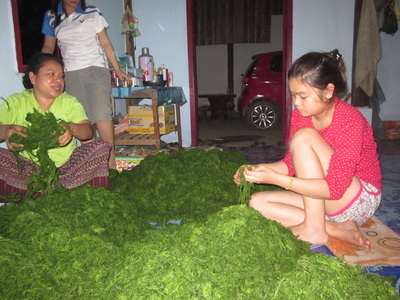 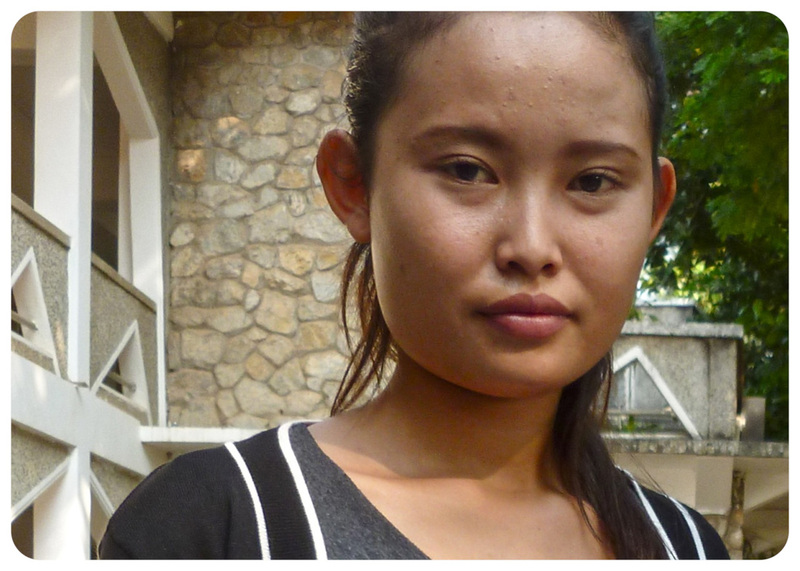 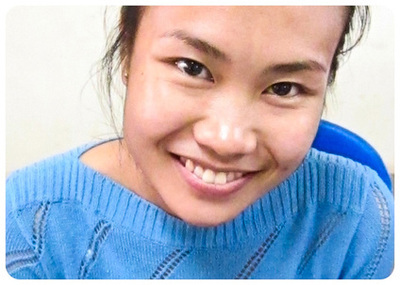 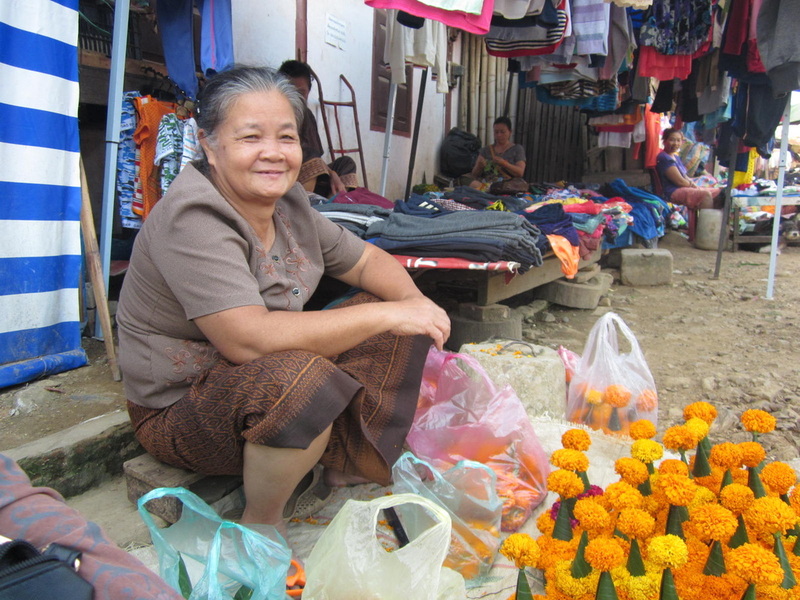 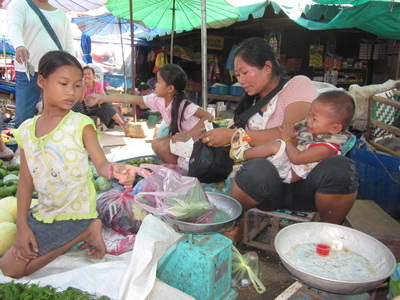 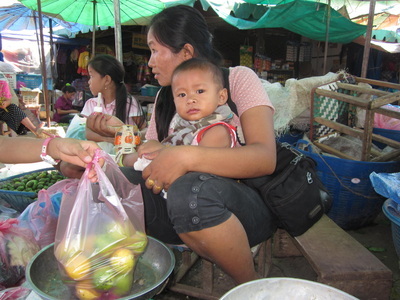 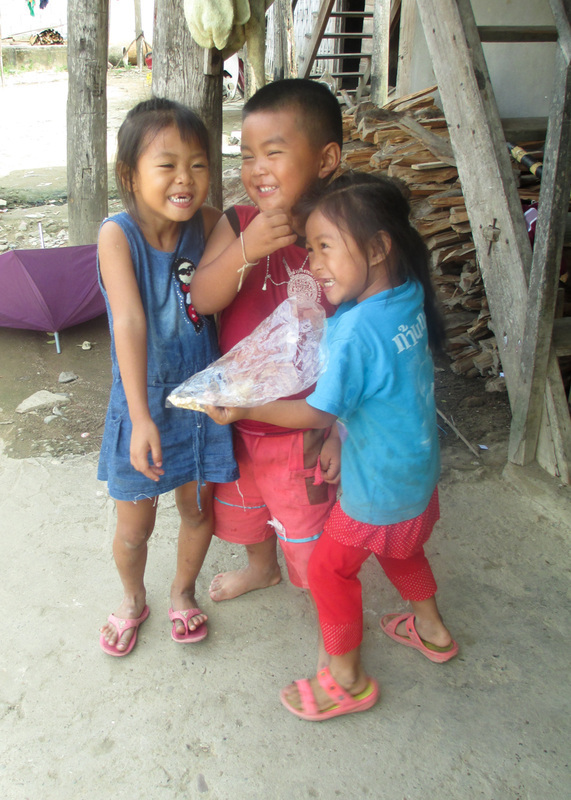 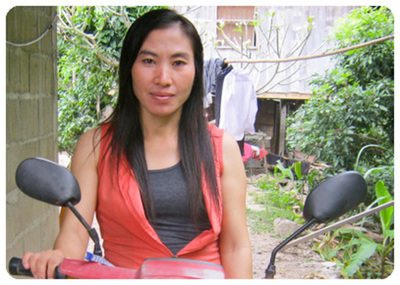 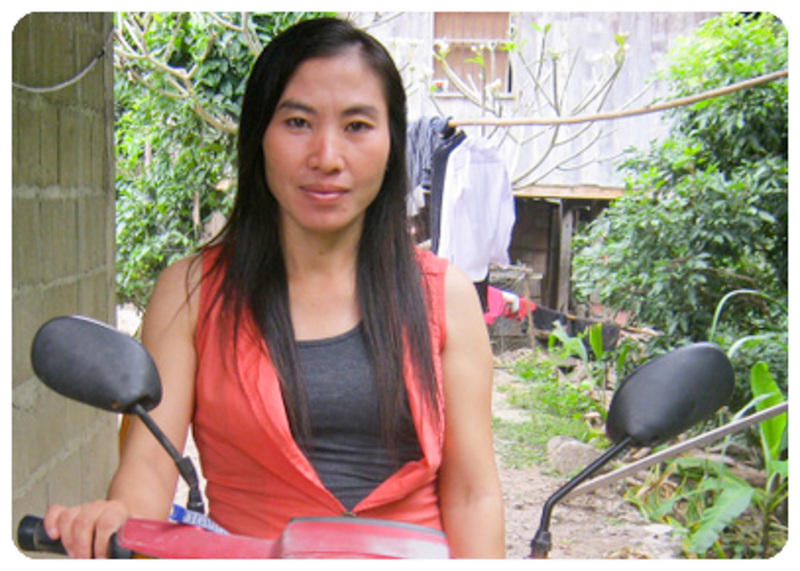 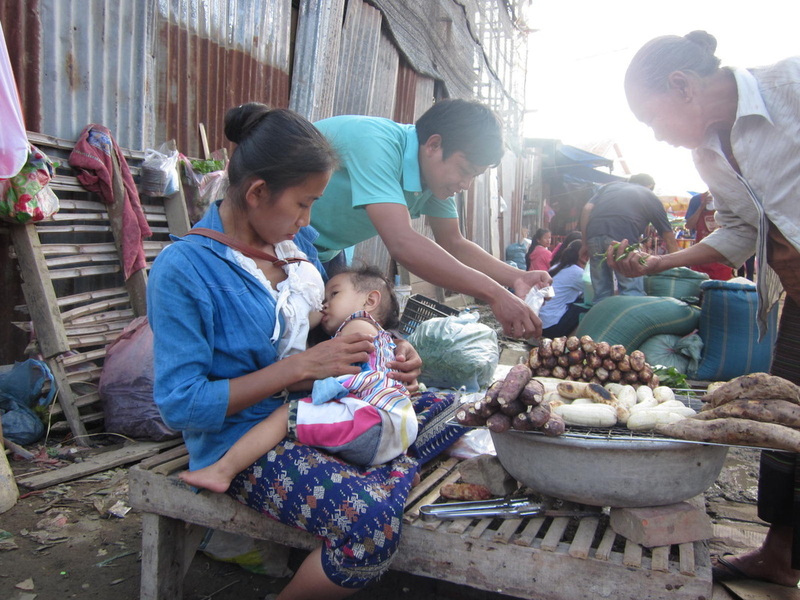 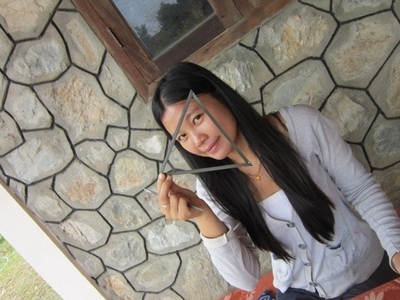 Phailin is from Phousy Village in Luang Prabang and works in the large Phousy market with her family. 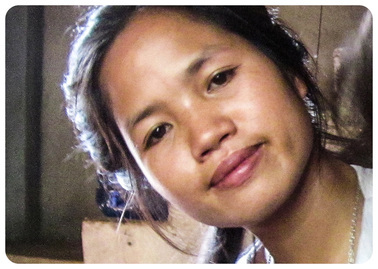 She came to the class to learn photography and her work focusses on the lives of women in the marketplace. 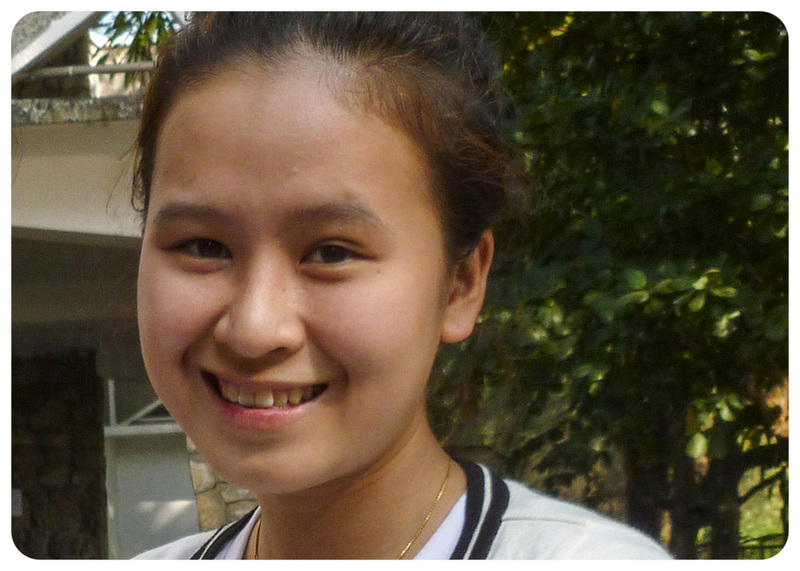 "I came to the class because I wanted training in photography and to improve my skills from before. I liked going out to take pictures and I learned about women’s way of living that didn’t know before." 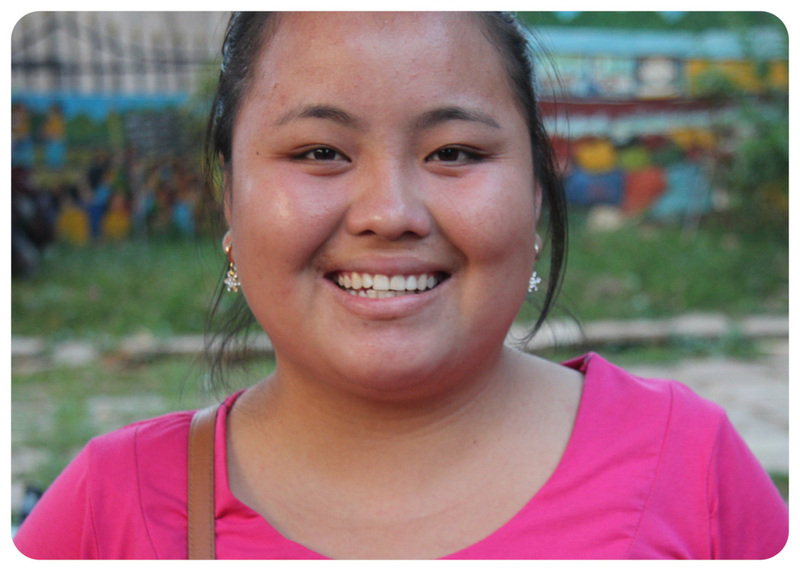 Paseng Xiong attended the SOS program with her older sister Jeesong, and they worked together to document their family and friends in the Hmong community. 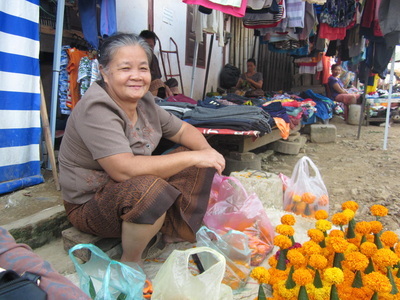 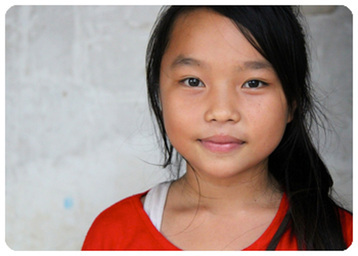 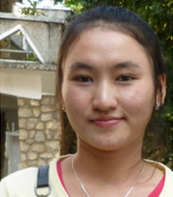 Paseng is a student and she helps her family sell handicrafts at the night market. Sia learned how to embroider when she was eight or nine years old and she started to sell handicrafts at the night market in Luang Prabang when it first began. 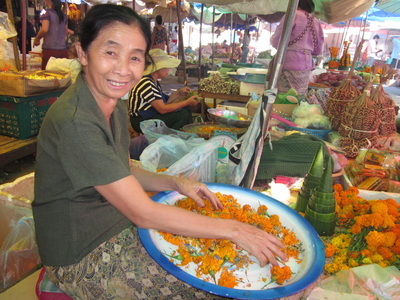 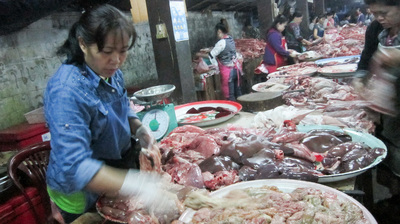 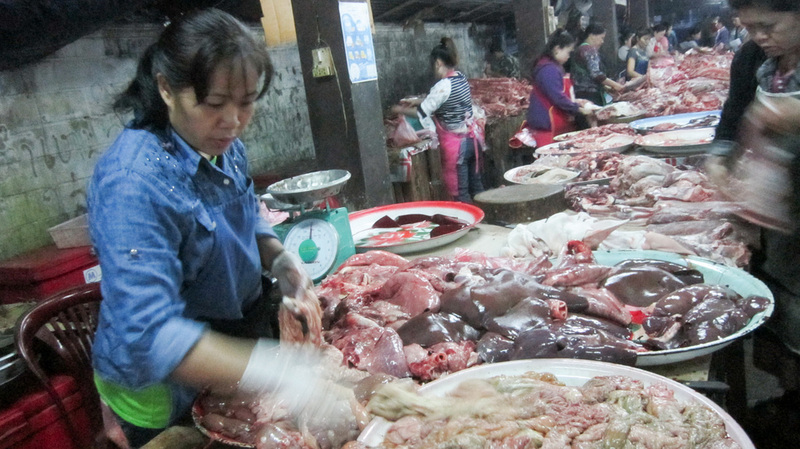 At that time, only five or six people sold products at the market. 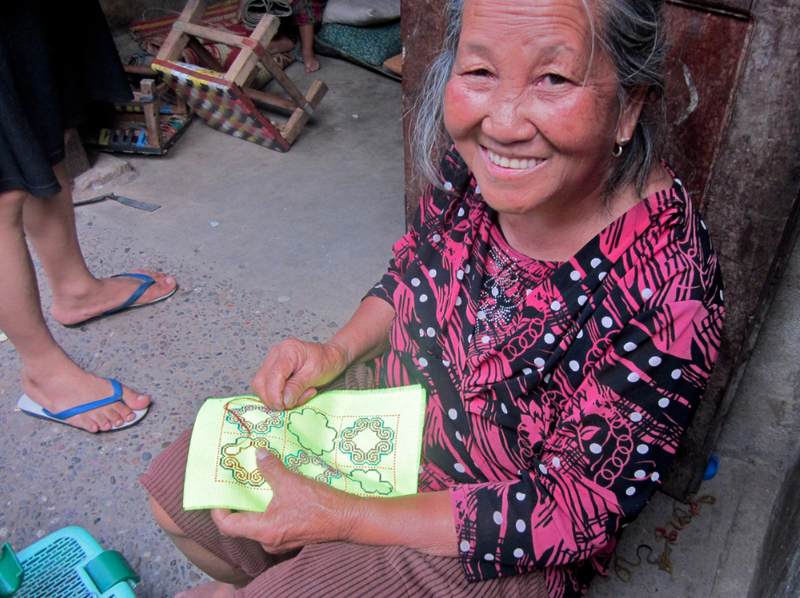 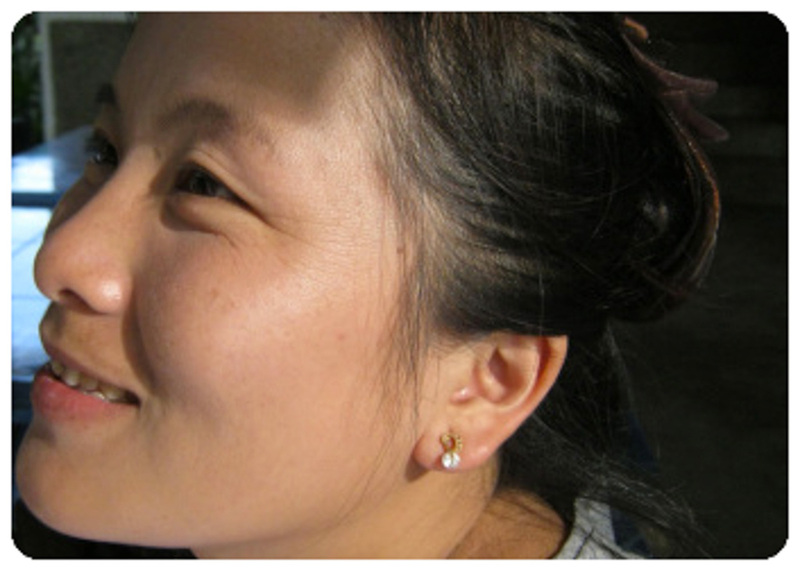 Maiying’s mother taught her how to embroider at 10 years old, and she has been working at the night market since 2004. 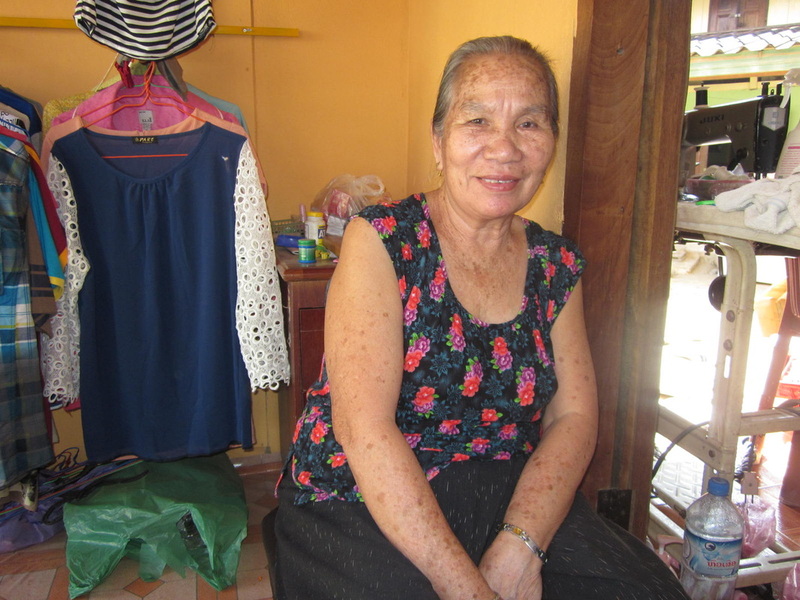 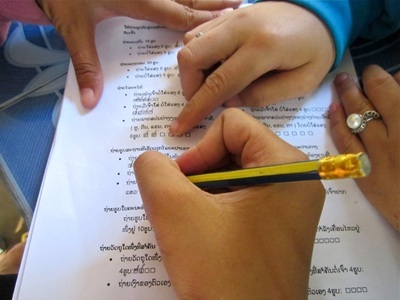 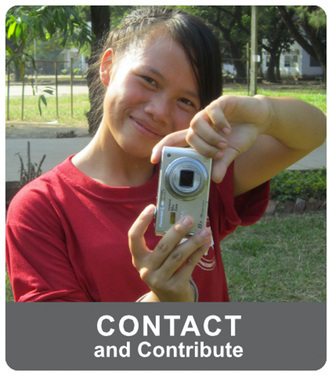 "I took this class because I want to learn how to use cameras and to take photographs, and I also wanted people to learn more about Lao women's lives. 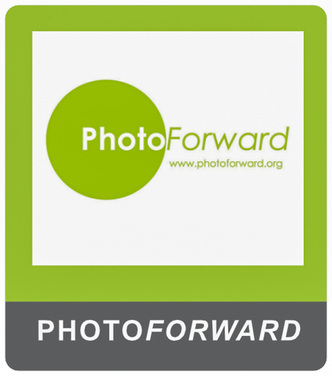 I am proud to be part of this program." 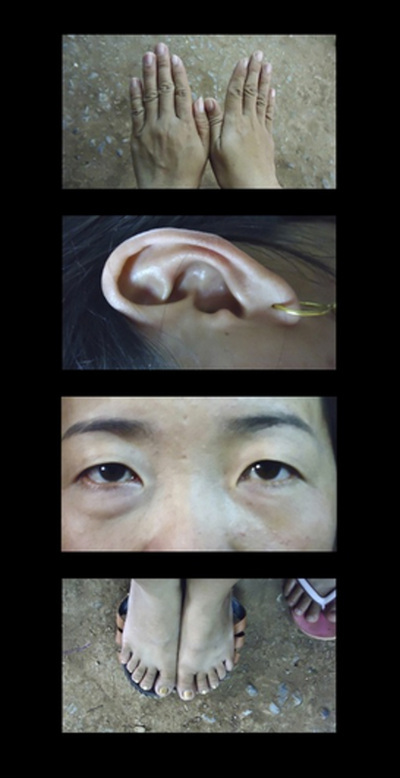 Bao learned embroidery from people in her community at age 12 and has been working at the night market since 2007. 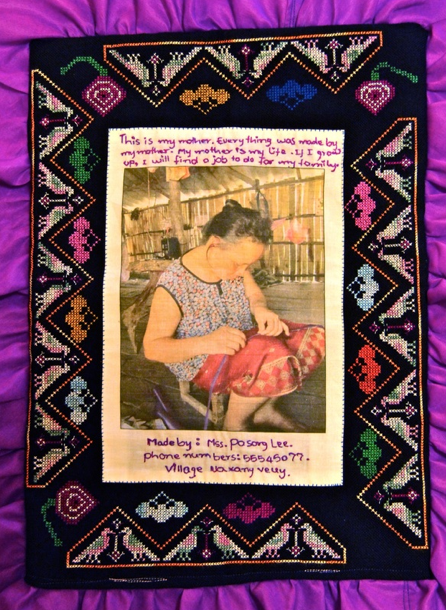 "I hope that young people will see my photographs and be inspired to use their time to learn useful skills like traditional embroidery and photography." 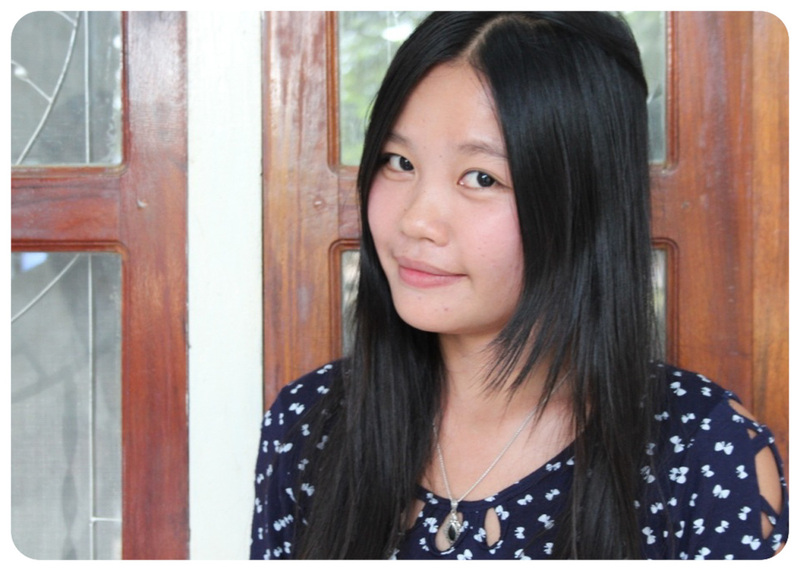 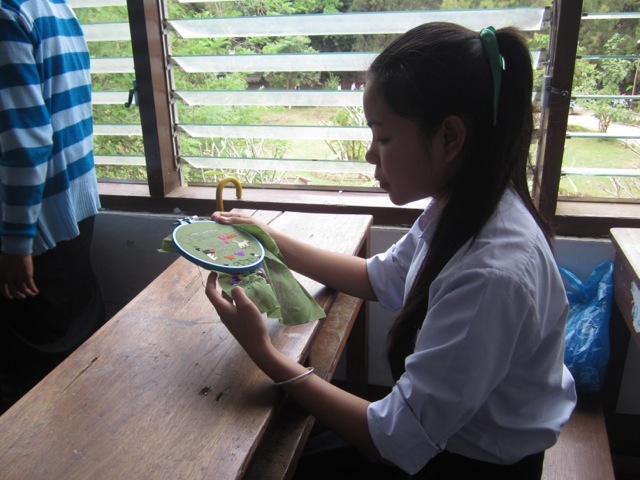 Latdavan, Maysakhone Souksouvanh, Sisouphan are highschool students active members of the Children's Cultural Centre (CCC) in Luang Prabang, Laos, They participated in the first Stitching Our Stories program in 2012 and helped with our inaugural Community Celebration at CCC.